Lincoln City Festivals and Calendar for Coming Events: We are so excited about the commitment Lincoln City has made to the environment and to ecotourism we prominently showcase Lincoln Cities programs for crabbing, clam digging, tide pool tours and beachcombing. Finders Keepers Glass Float Treasure Hunt Now Available All Year! Finders Keepers is one of Lincoln City’s defining events where you can find treasures on our seven mile stretch of beach from Roads End to Siletz Bay. Now YEAR ROUND we drop over 3,000 handcrafted glass floats made by local artisans for you to find and keep! Click the above link to view Special Glass Art Drops. 111.6 East Devil's Lake Rd north access: There are 2 boat launches on the East side of Devil's Lake. There is a primitive boat launch limited to car top non-motorized boats located at Sand Point Park. Sand Point City Park is a small park providing a primitive boat launch for car top boats such as pontoon boats and Kayaks. The park provides a restroom, several picnic tables and a Barbeque grill type cooker. The park complete with swimming beach (No Lifeguard) is an ideal location for family gatherings. The East Devil's Lake State Park and Boat launch is a full service facility for launching trailer boats and/or a great location to have a family gathering. 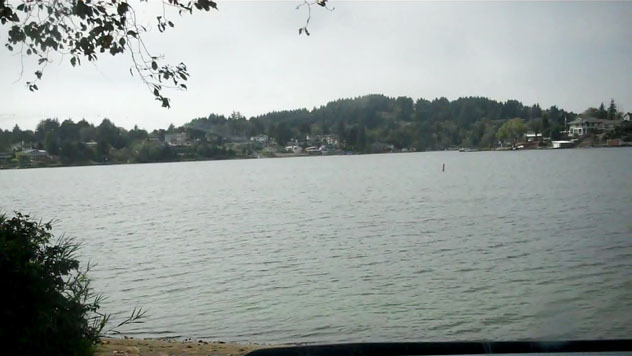 The boat launch provides access to the Southern portion of Devil's Lake and is located on East Devil's Lake Road approximately at the sourthern access point 1 mile from the Lincoln City Outlet Stores at the intersection of Hwy 101. 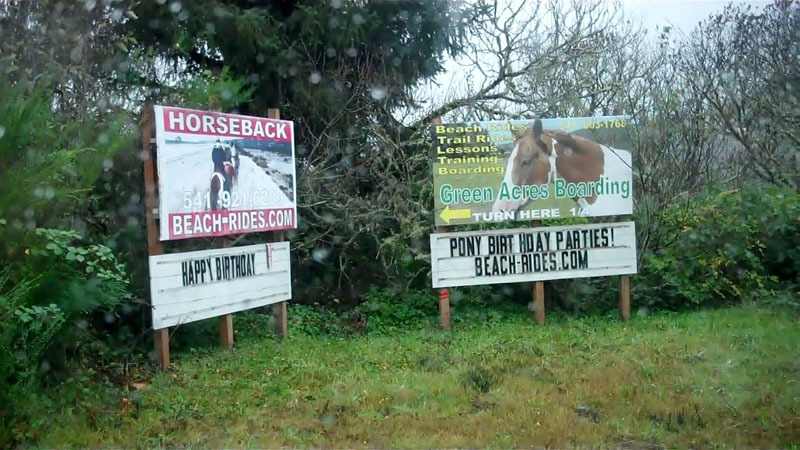 Green Ares Equestrian Center boards horses and sponsors beach and mountain trail rides. Green Acres is located off of East Devil's Lake Road one half mile from the intersection of Hwy 101 on the south east section of Devil's Lake. 112.0 Chinook Winds Golf Course is located off of West Devil's Lake road at the North end of Devil's Lake. 112.4 West Devil's Lake Rd. Blue Heron boat rental on Devil's Lake north access: the Blue Heron Marina is the only boat rental marina on Devil's Lake is located on West Devil's Lake Rd. a quater mile south of the intersection of West Devil's Lake Rd. and Hwy 101 on the northern section of Devil's Lake as well as access to the Wildwood Hiking Trail, the Regatta Park and associated Hiking Trail and the Spring Lake Hiking Trail before rejoining Hwy 101. Wildwood hiking trail is located on the upper end of West Devil's Lake Rd. Spring Lake trail hike will unleash your spirit of adventure. The Spring Lake trail head is located between on the north side of NE 14th St. between Regatta Park and Hwy. 101. Click on the image to enlarge it. 112.8 Roads End Beach is the Northern most beach access associated with Lincoln City beaches. Access is gained by turning northwest from Highway 101 onto Logan Road. To access the Roads End State Park Wayside drive north north on Logan Road and turn left into the Roads End Beach Wayside a third of mile from the end of Logan Rd. The access to the west side of the Villages Trail Hike is from the road across the street from the entrance to Roads End State Park Wayside. The driveway to someone's house is actually one of the entrances to the Village Trail Hikes. 112.8 Beach access off of Logan Rd. and NW 50th Street – No parking • Trail Access. 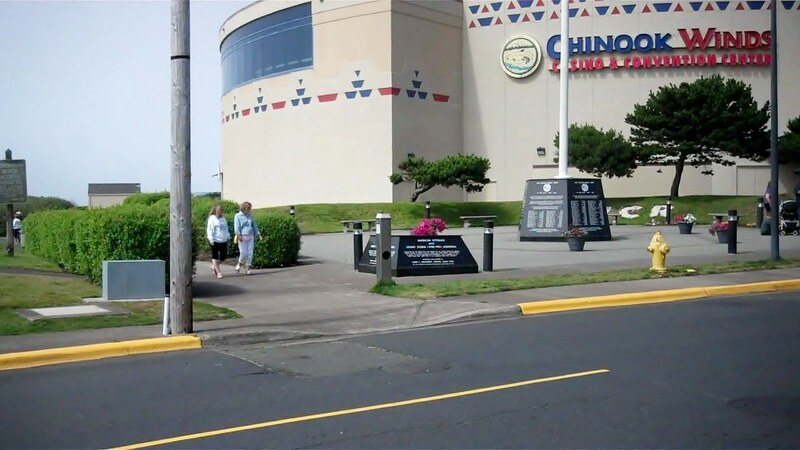 We recommend parking at the Chinook Winds parking lots and using the beach access tral behind the Veteran's Memorial to access the beach north of the casino. 112.8 Beach access to Lincoln City beaches behind and south of the Chinook Winds Casino is gained by turning west onto NW 44th Street from Logan Road or by turning west from Hwy 101 onto NW 40th street. Access the beach behind the Chinook Winds Casion through the Veteran's Memorial on the south side of Chinook Winds Casino on NW 44th St or the beach access located off of 40th place ch access points south of the Chinook Winds Casino drive south on NW Jetty Ave.
113.0 Turn west onto NW 33 St. to visit the Connie Hansen Garden Conservancy. All visitors are welcome to stroll through the enchanted garden any time each day from dawn to dusk. 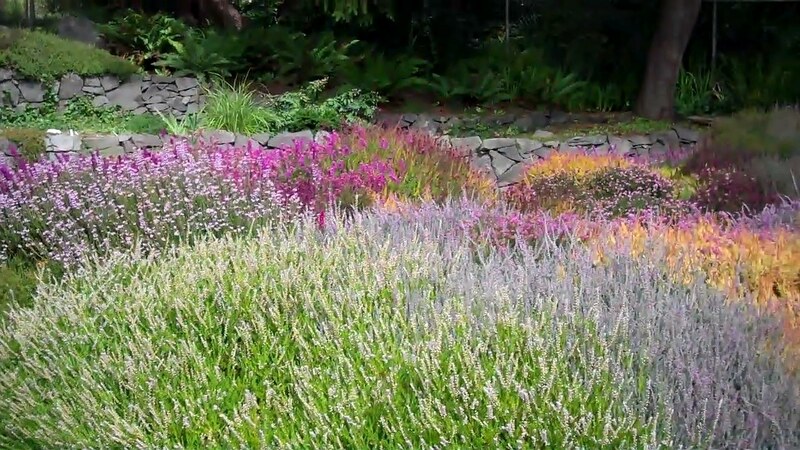 Enjoy the graveled and grass pathways reveal the intimacy of garden with each turn of the pathway. Take any route during the season that appeals and stay as long as you'd like. Yes, pets are welcome to enjoy the garden too! Dorchester Park and Tennis Courts are located one block west of Hwy 101 off of NW 28 St.
Beach access off of NW Jetty and NW 26th Street – Limited Parking • Restrooms • Stair Access . Skateboarding and Baseball Park is located off of NE 22nd St. The Skateboard park was designed for the skill level of all boarders. The park has 2 baseball diamonds located in the park. Barnacle Bill's Seafood Market was established 1949. Bill's is a family run seafood market carrying a variety of seafood that will satisfy your needs. 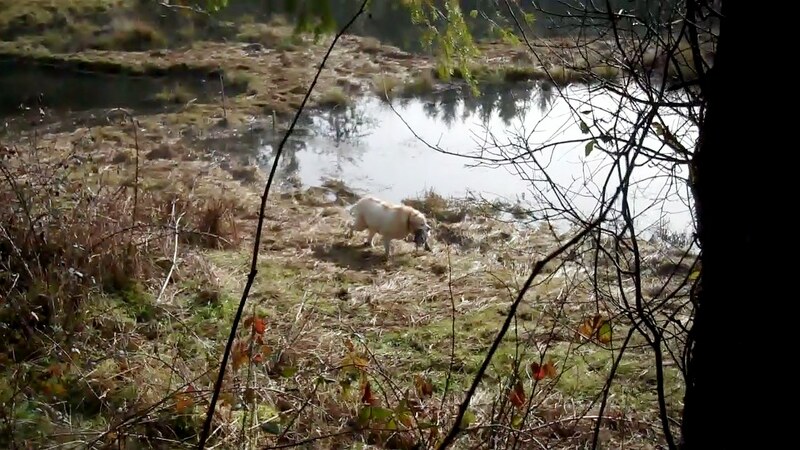 Agness Creek Open Space Trail Hike: is accessible via SW Bard Rd. off of Hwy 101. 114.4 NE 14 St. shoreline access to Devil's Lake at Regatta Park and Holms Road City Park. Devil's Lake contains Largemouth bass, yellow perch and is stocked each spring with catchable size rainbow trout. The shore line drives of Devils Lake are located from Hwy 101 off of East Devils Lake Road or West Devils Lake Rd which becomes NE 14 St. There is a public fishing dock located at Regatta Park and at Holmes Road City Park. 114.5 Devils Lake State Park contains Largemouth bass, yellow perch and is stocked each spring with catchable size rainbow trout. Regatta City Park is the trailhead to Regatta Trails. Regatta City is a full service day use park ideal for family gatherings. In the video clip Trout Fishing in Devil's Lake, my son Scott, my friend Dutch and I launched the boat at Regatta Park to fish the northern section of Devil's Lake. Regatta Park is the ideal location for a family outing complete with fishing dock. 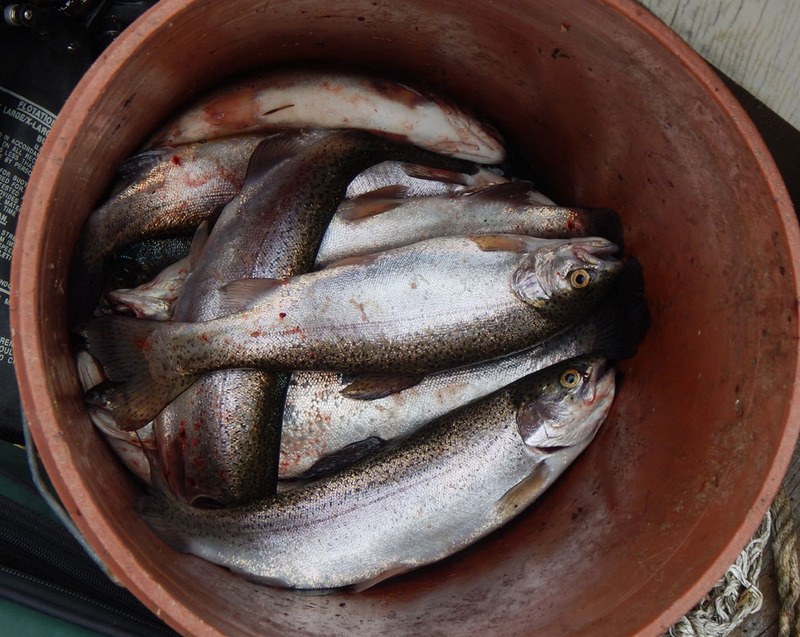 We limited out as shown in the image of the bucket of trout. Click on the ODFW Trout Stocking Schedule and scroll down the page to view the trout stocking schedule for Devils Lake. Fish for trout in winter and spring months to avoid the alga blooms that degrade the flavor of the trout in Devils Lake in summer and fall. 114.6 Oregon State Park Campground at Devil's Lake State Park is located on the eastside of Hwy. 101 one block north of the of the World's Shortest River, "D River" and the Lincoln City Cultural Center. The Devil's Lake State Park and campground are within within easy walking distance of downtown Lincoln City, or glide quietly on the lake in a canoe or kayak. Watch for for wildlife! Coots, loons, ducks, herons, cormorants, bald eagles and grebes all call the lake home. You may also spot deer, elk or raccoon bandits on the shores. As the only Oregon coast campground located in the midst of a city, the lake is a center of summertime activity. Boaters, skiers, swimmers and personal watercraft users share the water. Devil's Lake is stocked withe rainbow trout and fishing for largemouth bass and panfish is productive. None of our campsites have a lake view, but a hard-surfaced trail lead out of the campground to the lakeshore. 115.0 D River Beach is the midway point in the Lincoln City beaches. Access is gained by turning west from Highway 101 into the large parking area at the D River Wayside. The D River is famous as the world’s shortest river and is ground zero for those displaying the Kite Flying Skills.. The river flows from Devil’s Lake. At times during the summer fishing for redtail surfperch at the mouth of the D River is excellent. The lake is home to largemouth bass and is stocked heavily with rainbow trout. The beach is an ideal location fo a family gathering. There are a number of volleyball courts available for public use and the beach is renowned for kite flying. Beach access to the beach south of D River beach is gained by turning west on SW Fleet Street from Highway 101. Follow SW Fleet Street to SW 11th Drive. There is parking for several cars at the beach access entryway and across the street at Canyon Drive Park. Canyon Drive Park is a small park with pond and is a beautiful place to enjoy a lunch. 115.3 City Hall and Driftwood Library. The four story City Hall Complex and Culinary Center are located on the west side of the Hwy 101 across the street from Burger King. 117.0 Spyglass Ridge Open Space Trailhead access is gained by turning east onto SE 32nd St and follow it to Spyglass Ridge Rd. Turn left to the trailhead. 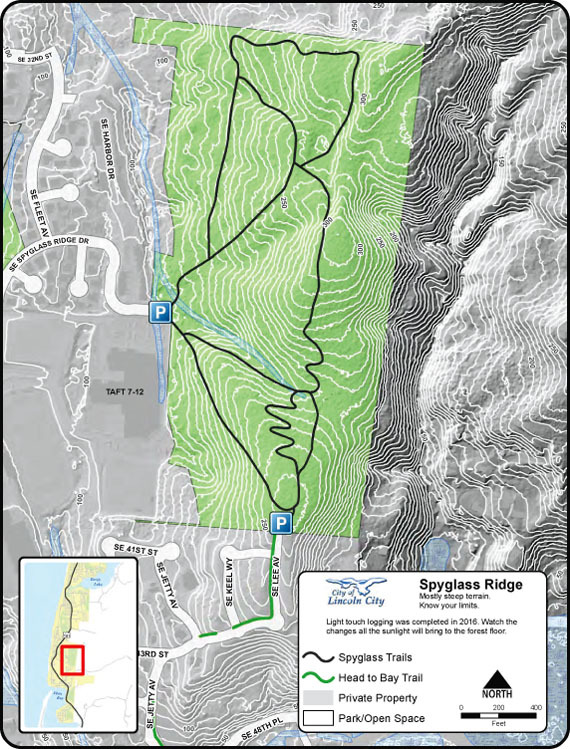 Click on the image of the trail map to enlarge it. Oliva Beach Park is not the beach but is named after the beach. The park is located at 27 SW Way and Anemone Ave. and is mostly used by local residents. Beach access at SW 50th Street – The street empties into the Pavilion Parking lot.• Paved Ramp Access to beach. 117.8 Siletz Bay north shore access at Taft Beach is achieved by turning west at S. 51st Street. The public parking lot is located ½ block on the right side of the street and there is limited parking at the end of the street. The fishing for salmon and perch is excellent from the north shore at the entrance of Siletz Bay. 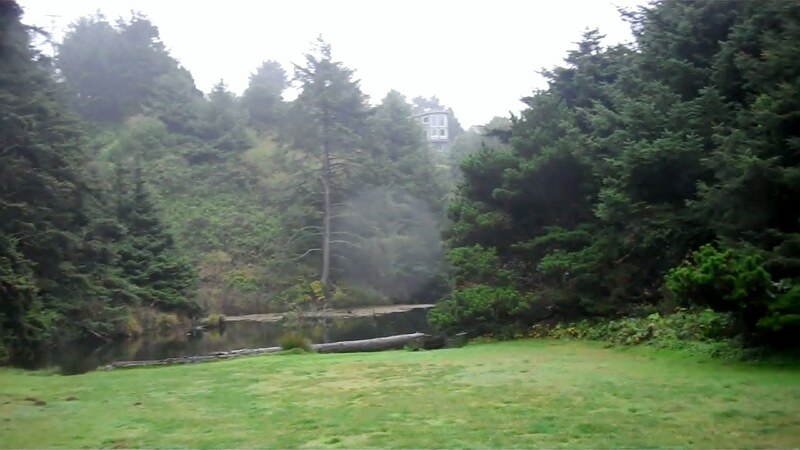 Click HERE to view Lincoln City's open spaces, trails and city parks. 117.8 Schooner Creek: turn east onto SE 51 St. Turn right onto S. Schooner Creek Rd. S. Schooner Creek Rd. paraellels Schooner Creek and eventually becomes Bear Creek Rd. to Hwy 18. 118.0 Siletz Bay Park is a small wayside park adjacent to Highway 101 and the northeast corner of Siletz Bay. This part of the bay is good for pumping sand shrimp and to dig for purple varnish clams or for small sized softshell clams. Both the purple varnish clams and softshell clams are excellent when served as steamer clams, fired clams or in clam chowder. 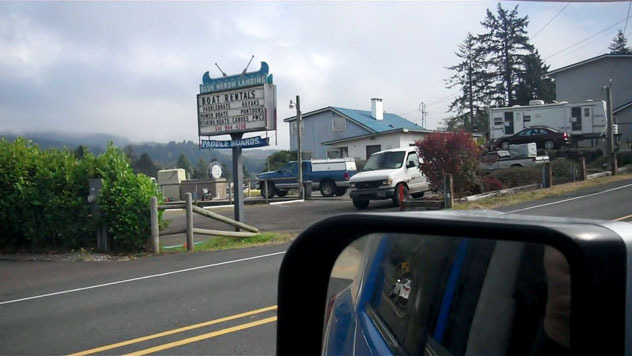 118.5 Cutler City is located in lower Siletz Bay and offers limited access to the bay at the Josephine Young Memorial Park by turning west onto 62nd Street, which becomes S Fleet St. Turn west onto S. 65th St. and drive the end of street. The parking is limited to two vehicles. The tidal flats are a good place to pump for sand shrimp. A drive down 263 rd St. leads to the gateway of the Cutler City Wetland Trail with all of it's incredible beauty. Remember to bring along mosquito repellent should it be needed. Kids Park at SW 68th Street in Cutler City Area. Take the entire family for a trip to this park. There’s a basketball ourt, play structures, swings and a picnic area. Cutler City Wetlands: a drive down 263 rd St. leads to the gateway of the Cutler City Wetland Trail with all of it's incredible beauty. 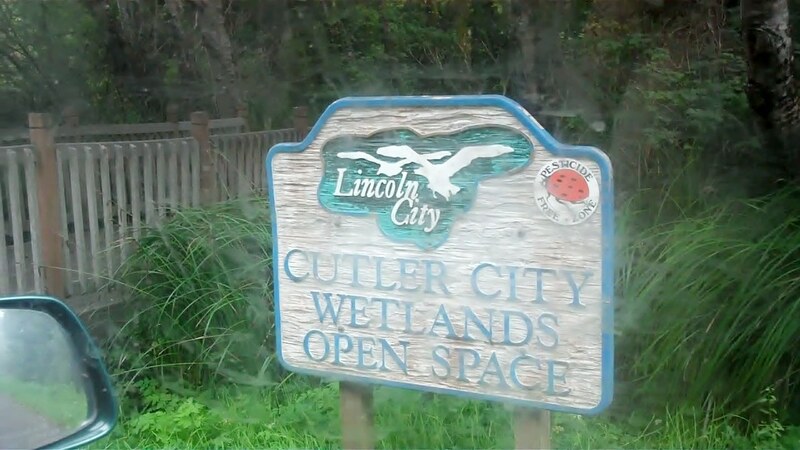 Your knowledge of the functional values of the ecological productivity of wetlands are challenged as you stroll through the foot paths of the Cutler City Wetlands. Remember to bring along mosquito repellent should it be needed. 119.2 Drift Creek Falls Trail: Turn east onto Drift Creek Rd. to Forest Service Road 17. Turn left on Forest Service Road 17 and follow the signs to the Drift Creek Falls Trailhead parking area. Follow the forested trail to the 275 foot suspension bridge to view the 75 foot waterfall. The lower Drift Creek is surrounded by mostly private property; however, Drift Creek is fishable by launching a small drift boat at the boat launch across the road from the Elks Lodge. The fly in the oimtment is once you have drifted through to the Siletz River channel in the Bay you must motor the boat to either Siletz Moorage if it is open or upstream to the Coyote Rock Resort. Siletz Moorage use to close from October to April but anymore it is closed most of the time. The Siletz River enters Siletz Bay just west of the historic town of Kernville and enters the ocean just south of the Community of Taft at Lincoln City. The Kernville Hwy 229 mostly parallels the Siletz River to the head of tidewater at Cedar Creek located 15.5 miles upriver then to the town of Siletz before the river turns to the east to Logsden and then to the north to Moonshine Park at the Siletz Gorge. Do not attempt to cross the bar at Siletz Bay at anytime. Ebb currents at the shallow entrance can reach 5 to 7 knots. Boaters inside the bay should be wary navigating near the mouth of the bay. The term, "shallow entrance" implies shallow water which it is not! Children falling into or attempting to swim in the deep water channel that runs along the North Shore can be swept into the ocean in the blink of an eye. Click on the image of Siletz Bay to enlarge the photo. At the turn of the century Oregon’s ninth largest bay was a deepwater port of entry, but over time the bay has been subjected to extensive sedimentation. Studies show the ocean is the source of most of the sediment deposited on the tidal flats in the bay. The numerous logs and root wads marooned on the tidal flats have become small islands. The bar at the entrance to Siletz Bay is dangerous to cross. Not at anytime should the small boater attempt to cross the bar. You have to use caution when crabbing or fishing in Siletz Bay. You should only crab or fish in the lower bay on a high incoming tide. The high current velocity of the major tidal phase of an outgoing spring tide reaches seven knots at the entrance, enough force to pull an underpowered vessel or one having engine failure over the bar into the surf jeopardizing the lives of all aboard. Siletz Bay is one of Oregon’s most popular bays to fish for Chinook salmon. The Siletz River has both a spring and fall run of Chinook salmon, but it is the fall run that generates all the excitement as demonstrated by the congested boat traffic in the photograph. Information Report 2000-04. Zhou, S., and R. Williams. 2000. Escapement goals for Siletz River and Siuslaw River fall Chinook based on stock and recruitment analysis. Information Report 98-4. Nickelson, T.E. 1998. A habitat-based assessment of coho salmon production potential and spawner escapement needs for Oregon coastal streams. Chinook salmon return to Siletz Bay and to the rivers of the Siletz Basin during the spring and in the fall. The master of the salmon demanded tribute from Indians before they could pass Medicine Rocks according to the Siletz Indian legend. Medicine Rocks consists of three rocks, on two of which the heads of persons may be recognized. On the left side of the master of the salmon stands his wife, both of them easily recognized; on his right side is their dead child. * Honor the legend by leaving something and the salmon will return forever. Historically, the number of returning spring Chinook salmon returning to the Siletz Bay is small. The catch rate for spring Chinook averages a 170 fish per year. The run begins about the last week of May peaking June and running into July. Spring Chinook unlike their fall cousins spend very little time in the bay or the lower tidal reach but instead hold in the upper tidal reach of the river until they spawn in the fall. Fish for spring Chinook salmon 6 miles upstream from the Highway 101 Bridge to the head of tidewater located 15.5 miles upstream at Cedar Creek. 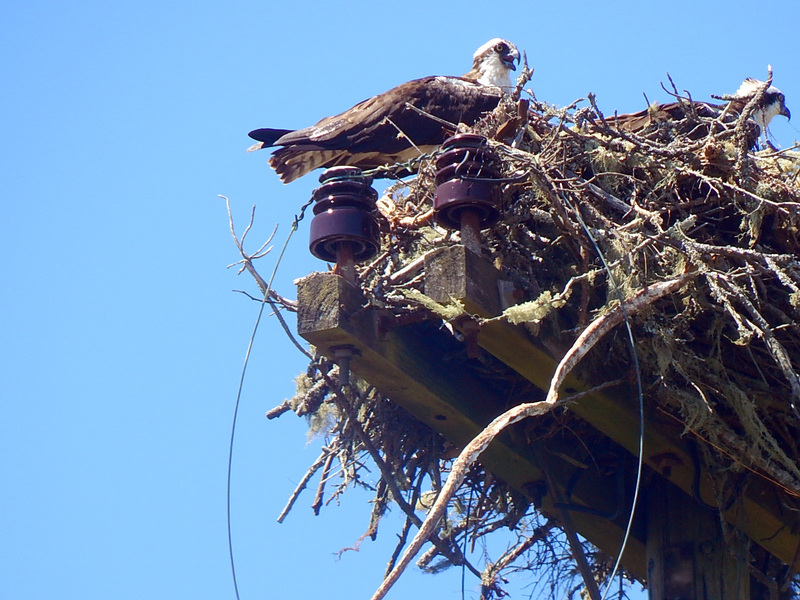 Launching facilities are limited in the upper tidal reach of the Siletz River. Launch a boat at Strom Park and fish with the incoming tide to the head of tidewater or fish downstream to Sunset Landing with the outgoing tide. Fishing is also productive in the river above the head of tidewater. Launch at Morgan Park and fish the deeper holes to the takeout at Strom Park but the drift boater must be prepared to deal with the tide. A small numbers of fall Chinook salmon enter the Siletz River from the last week of August and rapidly increasing numbers through the middle of September. The number of returning fish increase during the last half of September peaking in October before declining in November. Small numbers of Chinook also return in December and January The catch rate has been dominated by a high percentage of 5 year old fish followed by 4, 6 and 3 year old fish. The best fishing for newly arriving fall Chinook salmon occurs in the lower bay during the incoming tide of the major tidal exchange of spring tides or neap tides especially when the incoming tide coincides with sunrise or sunset. The next most productive fishing period occurs at sunrise or sunset during the incoming tide of the minor tidal cycle. Above: on 08/30/18 a local angler tagged a Chinook salmon fishing from the North Shore of Siletz Bay. Fall fishing 2017 for salmon exceeds crabbing in popularity when the salmon are returning to Siletz Bay. Shown on 09/27/15 local artist Brian took a salmon fishing from the North shore of Siletz Bay. Salmon crossing the bar at Siletz Bay offer anglers fishing from shore the opportunity to take home a Chinook salmon or coho in season. Early in the run concentrate fishing in the lower bay trolling a plug cut herring with the incoming tide from the entrance at the bar along the channel paralleling the sand spit to the first house on Siletz Spit. During the peak of the run most anglers concentrate fishing in the lower tidal reach of the river channel above the Highway 101 Bridge to Sunset Landing. Troll a plug cut herring, spinner bait combinations, rainbow colored spinners or silver colored bait wrapped Flatfish lures with a chartreuse head with the incoming tide. The competition for the more productive holes and travel lanes is intense. To avoid the congestion most anglers anchor on the up current side of the more productive holes and fish with a plug cut herring, bait wrapped Flatfish lures, spinner bait combinations, spinners or wobblers. Back bounce or back troll with the outgoing tide from Sunset Landing downstream to the Highway 101 Bridge fishing with bait wrapped Flatfish lures, spinner bait combinations, spinners or wobblers. 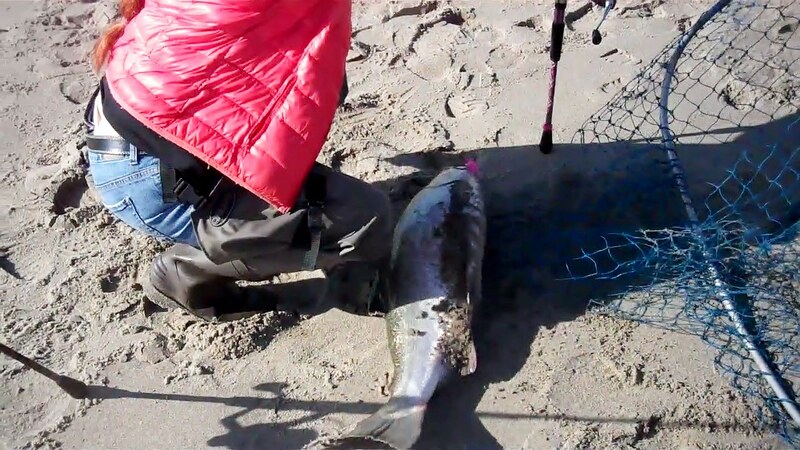 Fish upstream from Windy Bend drifting with the tide or by anchoring above the deeper holes during the last half of the outgoing tide through low slack tide fishing with a bobber using a walnut sized gob of salmon eggs and sand shrimp. Accent the salmon eggs and sand shrimp with a small length of pink, red, chartreuse or orange yarn. Fall run Chinook salmon return to Drift Creek, a tributary of the Siletz River, that flows into Siletz Bay begining in September, peaking in October and retuning into November. Some late returning Fall Chinook are late return salmon returnning to Schooner Creek in October - November depending on the level of water flowing down the creek. Steelhead fishing in the Siletz River offers anglers the opportunity to fish for steelhead year-round. The Siletz has both summer and winter steelhead native runs as well as summer and winter steelhead hatchery programs. Anglers are reminded that only hatchery fish can be retained. Winter steelhead begin arriving in late November with a peak in January-March. The winter steelhead hatchery program in the Siletz Basin utilizes a wild broodstock and can provide excellent fishing throughout the season. This program has a target release of 50,000 steelhead smolts each spring from the Palmer Creek acclimation facility located across from Moonshine Park. During peak season drift boat fishing can be very productive but many sections of the river can be busy during favorable flow conditions. Popular techniques used from a drift boat include side drifting, pulling plugs or drifting a bobber and jig. Bank fishing can also be very good in the upper river around Moonshine Park. Effective bank fishing techniques are flow dependent but include swinging spinners and spoons across riffles, drifting a bobber and bait or jig, plunking, and bouncing a corky and bait along the bottom. The Siletz River also has a native summer steelhead run, the only one naturally occurring to the Oregon Coast Range. I caught and released a 16 pound Steelhead from the Siletz River some 40 years ago. 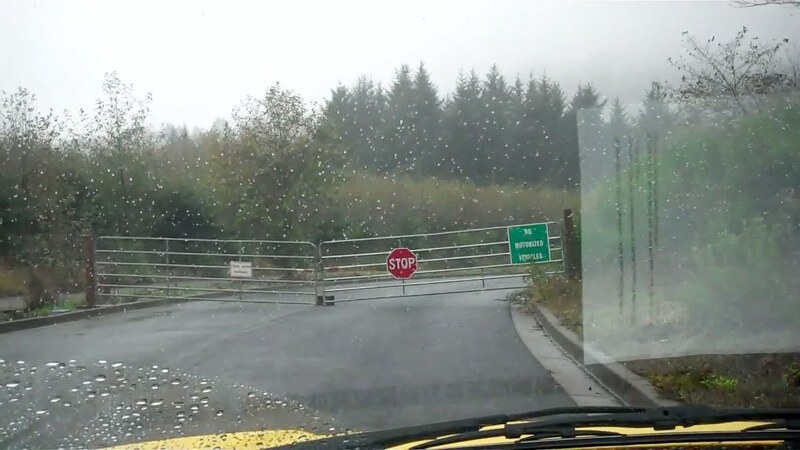 Fishing upstream of the park does require access through the Siletz Gorge Road -- a private logging road open to public vehicle traffic only on the weekends. Bank anglers also plunk with stationary gear in the lower river, especially when river conditions are high with poor visibility. A portion of hatchery fish returning to ODFW fish traps are also recycled to provide additional fishing opportunities. These fish are tagged with a small colored tag near the dorsal fin. Anglers are encouraged to report these tagged recycled fish so that the benefit of the recycling program can be assessed. A hatchery summer steelhead program with a target smolt release of up to 80,000 fish each spring offers anglers an excellent opportunity to harvest fresh steelhead by early summer. Summer steelhead start arriving in May with a peak in mid-July. A second push of summers arrive with the first fall rains. Most summer steelhead fishing is from the bank starting around Moonshine Park on up to the deadline below Siletz Falls. During the summer flows, fly fishing the gorge area can be very productive by swinging flies across riffles in the early mornings. Other techniques such as casting lures or using a bobber and bait/jig can also produce good results. Drift Creek-Siletz (located just south of Lincoln City) offers anglers good catch-and-release wild steelhead fishing with the occasional stray hatchery steelhead. A large portion of the fishable river is located within the Siuslaw National Forest with several good hike-in opportunities. 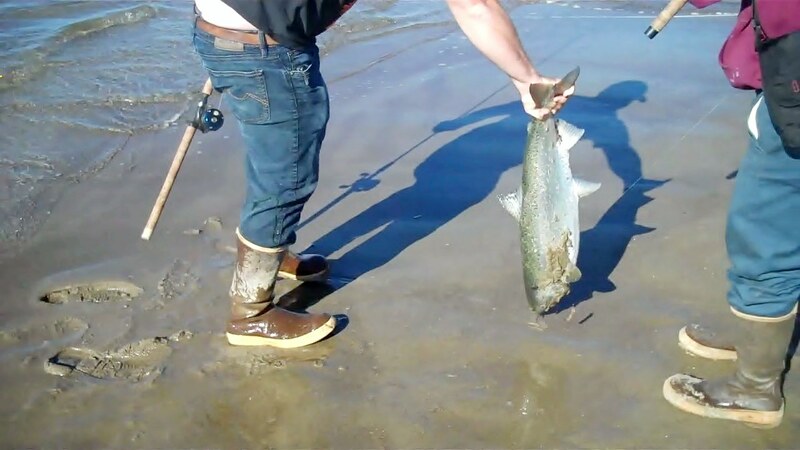 Coho salmon return to Siletz Bay during the last half of October and run through November. Troll in the lower bay from the sand spit near the bar trolling plug cut herring, hoochies or streamer flies with the incoming tide to the Highway 101 bridge. Troll these baits behind a diver or wire spreader or diver in the upper half of the water column. Troll in lower tidal reach in the river channel from the Highway 101 Bridge to Sunset Landing with plug cut herring, pink, rainbow or chartreuse colored spinners. Remember coho salmon prefer bait trolled near the surface at speeds between 3 and 5 knots. Cutthroat trout return to Siletz Bay from the middle of July through August. Early in the run fish from the Cannery Hole seaward to the Siletz Spit during the incoming tide trolling Doc Shelton spinners rigged with night crawlers. After the first week of August fish the entire length of the upper reach of tidewater trolling Doc Shelton spinners rigged with night crawlers. Fish from shore in the upper tidal reach of the estuary casting spinners or by fishing on the bottom of the deeper holes with night crawlers or crawfish tails. Refer to ODFW fishing regulations for current information on seasons and catch methods. Redtail surfperch, pileperch, walleye surfperch, silver surfperch and striped seaperch enter the bay in late spring. The fishing ranges from fair to excellent through fall depending on the tides and the weather conditions. The best fishing occurs during June and July in the lower bay along the main channel paralleling the sand spit upstream to the pilings at the Cannery Hole. Fish in the areas of the upper bay that are adjacent to eelgrass beds and along the channel that drains Millport Slough up to the entrance of the Siletz Bay Natural Wildlife Refuge. Sand Sole enter Siletz Bay in small numbers from April through August. Bank fishing for salmon at the natural entrance to the bay attracts anglers from all over Oregon. At one time the fishing for salmon from the north shore of the entrance to Siletz Bay was so popular it was hard to find a spot from which to fish. Fishing for salmon and perch is excellent from the north shore at the entrance of Siletz Bay. Bank fishing along Highway 229 for Chinook salmon is excellent on the lower river immediately upstream from Siletz Moorage. Anglers either fish with spinners or bobbers. Fishing with herring can be productive but the crabs steal most of the bait. Pullouts along the highway with heavily used trails leading down to the river usually disclose the location of the more productive fishing holes along the river. One of the best holes is located approximately 100 hundred yards upstream from a single–wide silver mobile home that is across the river from the highway. Another productive location is the Movie House Hole. The movie house was originally used as a set in the movie, “Sometimes a Great Notion”, starring Henry Fonda and Richard Jaeckel. The hole at the head of tidewater located at Cedar Creek is one of the most productive on the river. Spinners or salmon eggs are the most productive bait used by anglers. The best fishing occurs at daybreak and on the tide change. Fish for perch from the north shore of the bay at the entrance at the community of Taft or under the Highway 101 Bridge over Millport Slough or the Siletz River. Siletz Bay boat launches are limited to the Siletz Moorage located on the north shore of the upper bay at Kernville. The limited launching facilities can interfere with timely launching of the boat. In addition, the palce is closed most of the time. Siletz River boat ramps: from Moonshne Park upriver from Logsten to Siletz Morrage at Kernville. Siletz Moorage is often closed, therefore, we recommend launching or taking out at one of the boat launches located just upriver. There are several good RV parks with private boat launches located up river in lower tidal reach. They are Coyote Rock RV Park, Sportsman’s Landing and Sunset Landing. Lincoln County operates a free public boat launch located six miles up the river at Bear Creek and in the upper tidal reach at Strome Park and in the river above Strome Park at Morgan Park. These boat ramps are located in the tidal reach of the lower river. The boat launches located upriver at Moonshine park, Twin Bridges Memorial Park, Hee Hee Ilahee boat launch at the town of Siletz where the bridge crosses over the Siletz River, The boat launch at Mill Park located at the end of NW Mill Park Dr. on the other side of the town of Siletz offers the opportunity to fish or paddle from Hee Hee Illhee Park to Mill Park, a very popular drift. The Ojalla Bridge boat slide is located at the second bridge over the Siletz River accross the road from the Elks Pinic Grounds. The boat lauches from Moonshine Park and the Ojalla Boat Slide are spaced far enough apart to make daily fishing or paddling trips from one boat launch to another a pleasurable day trip. The Siletz River from Moonshine Park is a great river to learn to navigate drift boats or paddle craft. Clam digging in Siletz Bay is based on ODFW Seacor studies. Information Report: 2014-09 Status of Oregon bay clam fisheries, stock assessment, and research using Seacor methods of research. 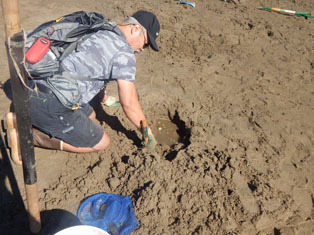 Clam digging in Siletz Bay historically has been limited to softshell clams. However purple varnish clams are the clam species of interest taken from the tidal flats in the lower bay. 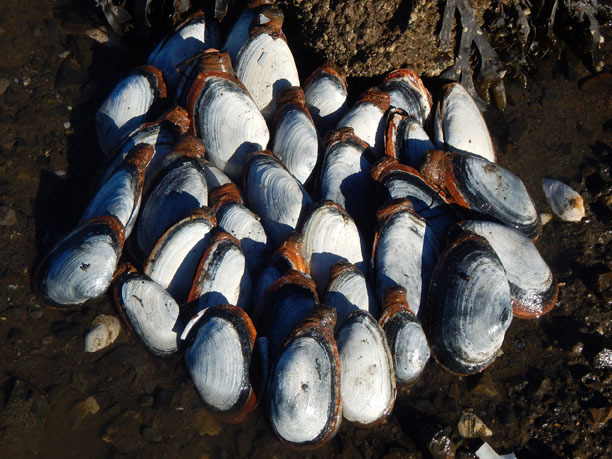 Purple Varnish Clams are the easiest clam species to dig from Oregon's coastal waters. Digging purple varnish clams from the soft sand in Siletz Bay is the best way to introduce those new to digging bay clams in Oregon. The clams are dug from the tidal flats below the Schooner Creek Wayside along HWY 101 in the Taft area of Lincoln City, however, the best access to the tidal flats is from gravel turnout just north of the Bay House Restaurant. Siletz Bay is also home to softshell clams. In fact the distribution of softshell and purple varnish clams overlap and you may encounter one of the species while digging for the other. 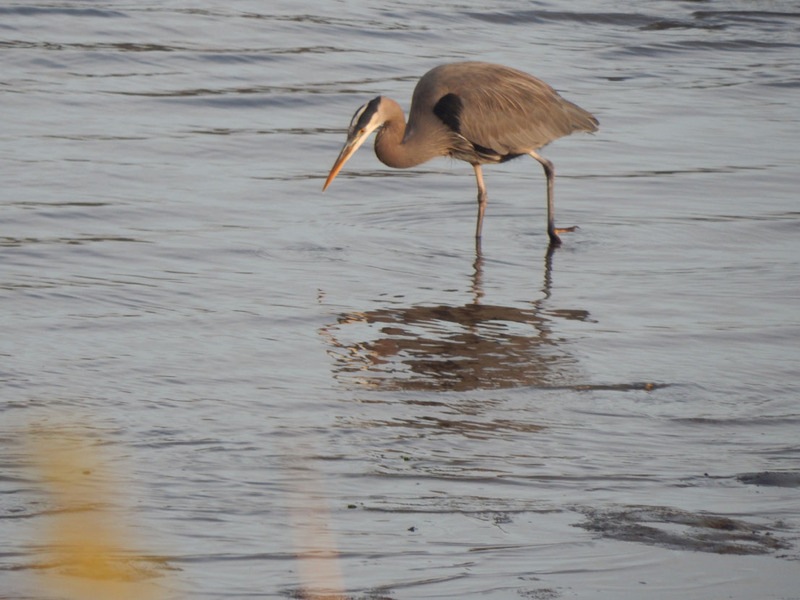 Click on to view: Oregon Field Guide Comes to Siletz Bay. 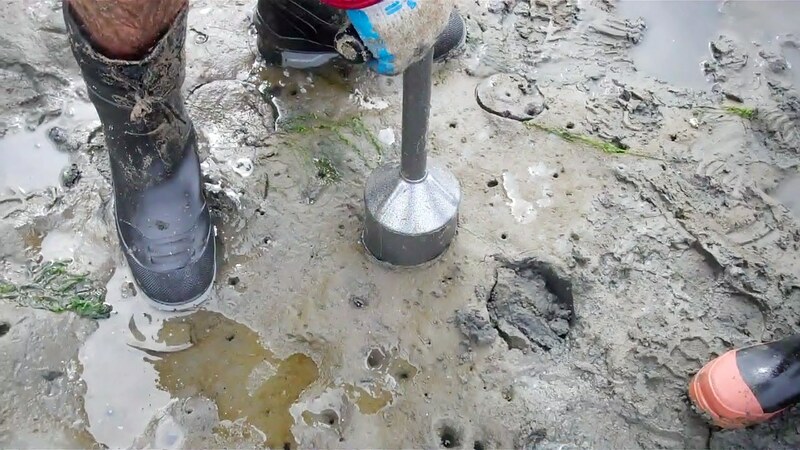 Digging softshell clams in Siletz Bay using a clam gun is one method to take softshell clams along with using a shovel and a shrimp pump. The limit of softshell clams was dug from Siletz Bay using a razor clam shovels we sell. The size of softshell clams dug from Siletz Bay averages an inch and half in length. Clam digging clinics begin with a brief lecture at the Driftwood Public Library located at 801 SW Hwy 101 in Lincoln City. The lecture covers Oregon’s clam digging regulations, clam identification for taking purple varnish clams, harvest methods, as well as cleaning and cooking methods. Lectures last approximately 45 minutes before adjourning to dig clams. 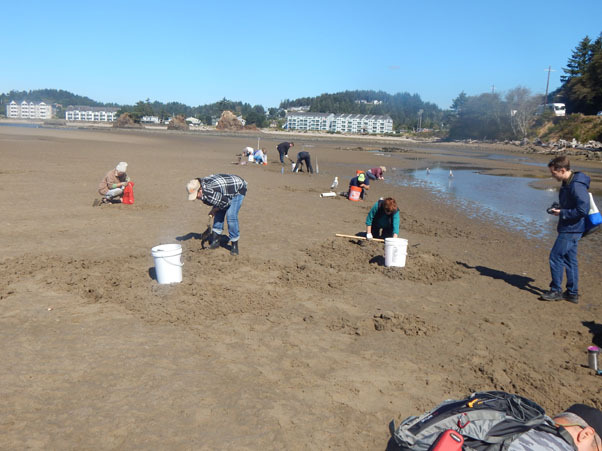 Click on the following link to view the clam digging clinic class schedule on the Lincoln City website, Catch Your Dinner Crabbing and Clam Digging from Siletz Bay. KUDOS to OPB!!! 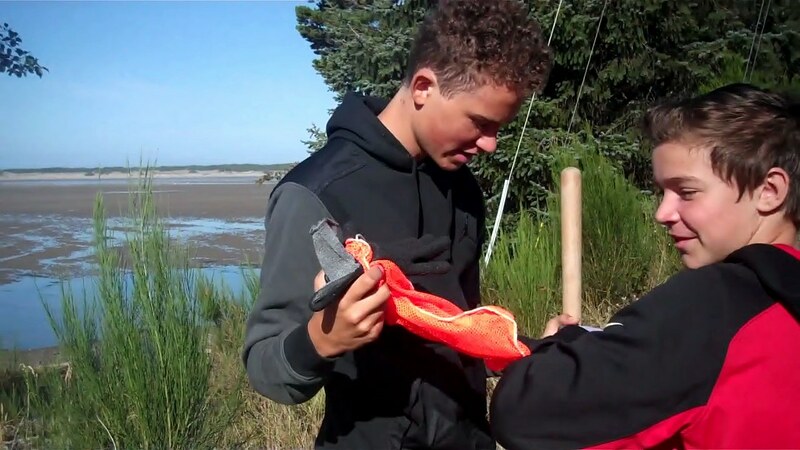 OPB broadcast the segment of our Digging Clams and Crabbing clinics in Siletz Bay on OPB's award winning Oregon Field Guide. 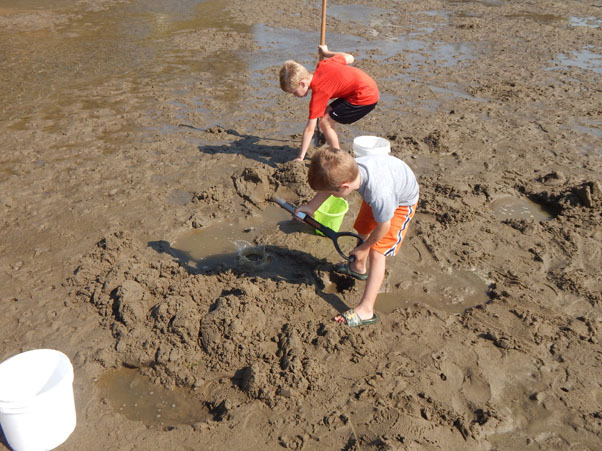 Digging Clams with my Grandsons in Siletz Bay. 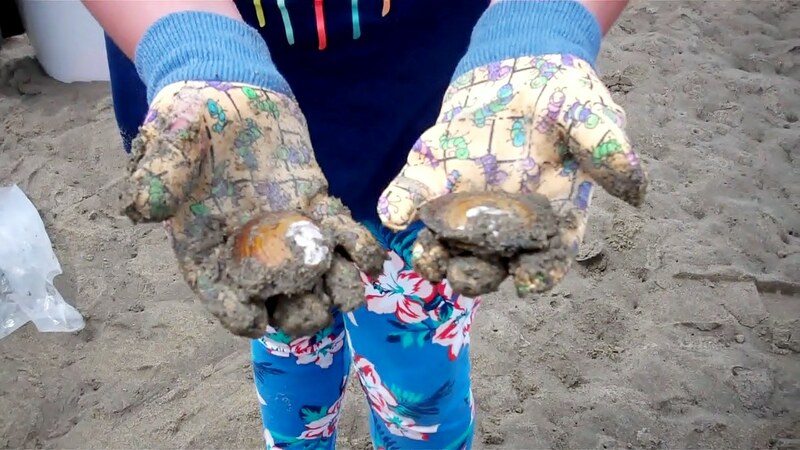 Digging in Siletz Bay is comprised of Purple Varnish and Softshell clams. Last Fall my grandsons, Brandon 16 and Zac 12 accompanied me on a trip to Siletz Bay to dig limits of Purple Varnish Clams. The boys cleaned the clams at my home, took the cleaned clams home where they made Oregon's crème style clam chowder. Purple varnish clams are the ideal clam species available to introduce those new to digging clams the Art of Digging Clams from Oregon's Coastal Waters. Welcome all to Siletz Bay. Digging purple varnish clams from Siletz Bay in preparation of our award winning recipe. Check out our recipe in this video clip. A young lady and her family attended one of our clam digging classes and entered Oregon's Stuffed Clams as shown in the photo below and won first place in the Clackamas County Fair. We are so proud of her accomplishment! On Tue May 15-2018: We will meet at 18:30 pm at the Driftwood Library for the annual Coastal Encounter's Clam Digging Lecture. We will discuss all aspects for digging all species of clams common along the Oregon Coast and to Oregon’s Bays. The Driftwood library is located in the City Hall Building on the 2nd floor across the street from Burger King on HWY 101. On Wed May 16-2018: We will meet at 09:30 am at the gravel turnout just north of the Bay House Restaurant to dig for the purple varnish clams common to Siletz Bay. A low tide of -1.21 feet occurs at 08:21. We will dig for purple varnish clams from 09:30 am until approximately 12:30 weather permitting. Each clam digger will need a pair of gloves to protect your fingers from being cut by the sharp edges of the clam shells, a clam bag, a 5 gallon bucket to store and transport the clams home, and a shovel of some type. Our clam shovel sells for 28.00 and is ideal for digging bay clams and razor clams. We also sell clam bags for 6.00. We suggest bringing some bottled water to drink and a hand towel. Each spring and summer the Lincoln City Visitor and Convention Bureau sponsors a series of free clam digging and crabbing classes. The classes are free and everyone is welcome. No registration is required. We thank the Driftwood Library and the Lincoln City for giving us the opportunity to share the wonderful bounty that Siletz Bay has to offer. See the details below. VCB Clam Clinics For Purple Varnish the easiest of Oregon's bay clams to dig. My friend Walter complete with sandals and shorts dug both of our limits of purple varnish clams. Walter has a copy of my disabled clam digging permit. Clam digging clinics begin with a brief lecture at the Driftwood Public Library located at 801 SW Hwy 101 in Lincoln City. The lecture covers Oregon’s clam digging regulations, clam identification for taking purple varnish clams, harvest methods, as well as cleaning and cooking methods. Lectures last approximately 45 minutes before adjourning to dig clams. Following the clam digging lecture, participants will meet at the gravel pullout just north of the Bay House Restaurant located on the west side of Hwy 101. To get there, travel south on Hwy 101 in Lincoln City through the traffic signal at SW 51st St in the Historic Taft District. Cross over Schooner Creek and go past the asphalt paved Schooner Creek wayside parking area. Park at the next gravel pullout just south of the Schooner Creek wayside. The clam digging classes are intended to provide the participants with the basic skill and knowledge to take clams from Oregon's Coastal Waters while taking advantage of the wonderful abundance of purple varnish clams in Siletz Bay. Each digger will go home with a limit of clams. 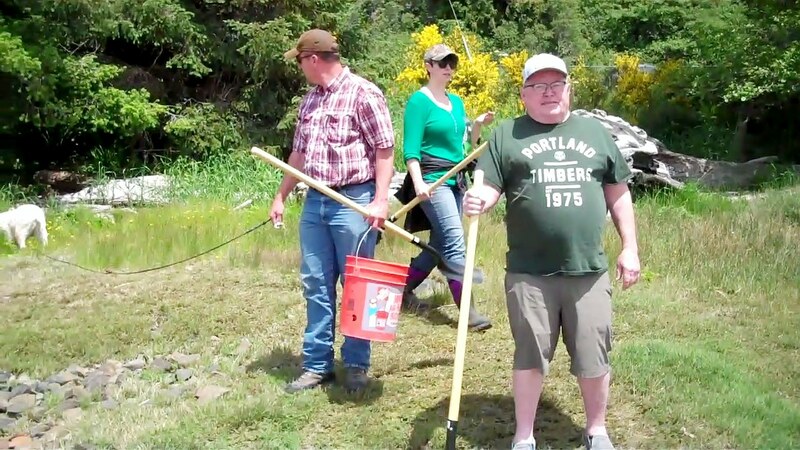 Digging softshell clams in Siletz Bay using a clam gun is one method to take softshell clams along with using a shovel and a shrimp pump. A shovel. 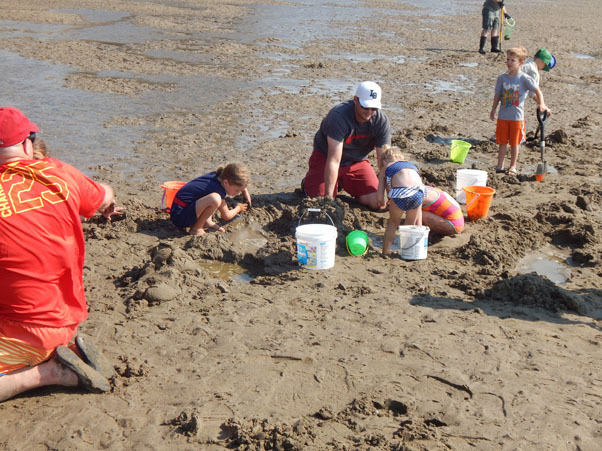 Clam diggers may share a shovel. NOTE: Clam licenses, shovels and clam bags will be available for purchase on site the day of the clinic. Payment must be made by cash or check only. We suggest developing the routine of bringing some bottled water for hydration, several hand towels, a change of cloths, large trash bags for soiled clothing and a first aid kit containing bandages and hydrogen peroxide to treat and dress any cuts if necessary. VCB Clam Clinics For Purple Varnish the easiest of Oregon's bay clams to dig. The clam digging classes are intended to provide the participants with the basic skill and knowledge to take clams from Oregon's Coastal Waters while taking advantage of the wonderful abundance of purple varnish clams in Siletz Bay. Each digger will go home with a limit of clams weather permitting. 2018-05-30 Wed 08:21 PDT -0.74 feet Low Tide Clam Digging Lecture at 10:00 am. 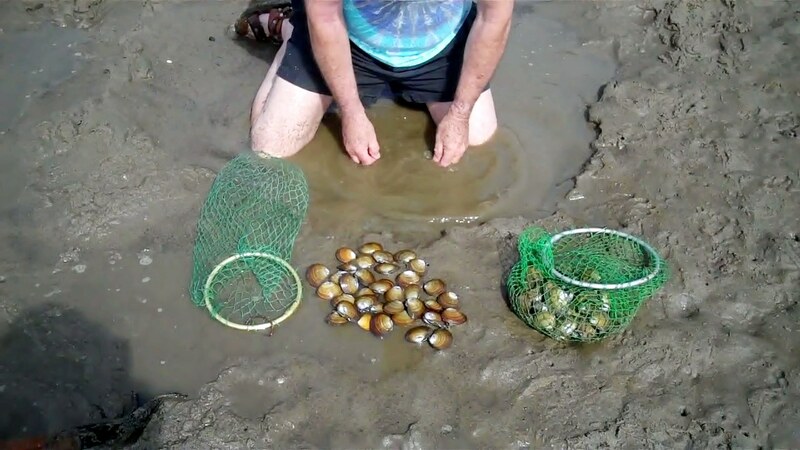 2018-06-18 Mon 11:25 PDT -0.86 feet Low Tide Clam Digging Lecture at 10:30 am. Above, the OPB crew from Oregon Field Guide film the visitors from Hawaii dig for purple varnish clams. 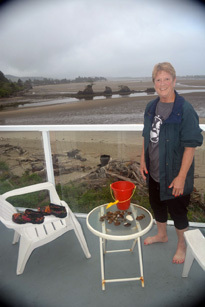 Below, clam digger and crabber Nancy displaying the purple varnish clams on the table dug from Siletz Bay shown in the back ground. Phot by Nancy. 2018-07-02 Mon 10:23 PDT -0.20 feet Low Tide Clam Digging Lecture at 10:30. 2018-07-20 Fri 13:31 PDT 1.26 feet Low Tide Clam Digging Lecture at 13:00 pm. 2018-08-03 Fri 11:36 PDT 1.06 feet Low Tide Clam Digging Lecture at 10:45 am. 2018-08-15 Wed 10:27 PDT 0.10 feet Low Tide Clam Digging Lecture at 10:00 am. 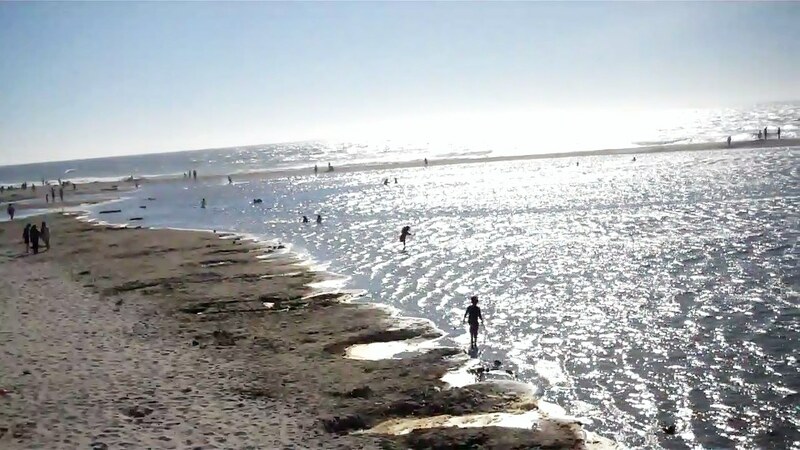 2018-09-12 Wed 09:12 PDT 0.30 feet Low Tide Clam Digging Lecture at 10:00 am. My trip to Siletz Bay was rewarded by witnessing the survival strategy of purple varnish clams when the velocity of the outgoing washes them loose into the tidal current. The clams are seemingly more successful than butter clams, littleneck or Manila clans at digging themselves into the substrate. 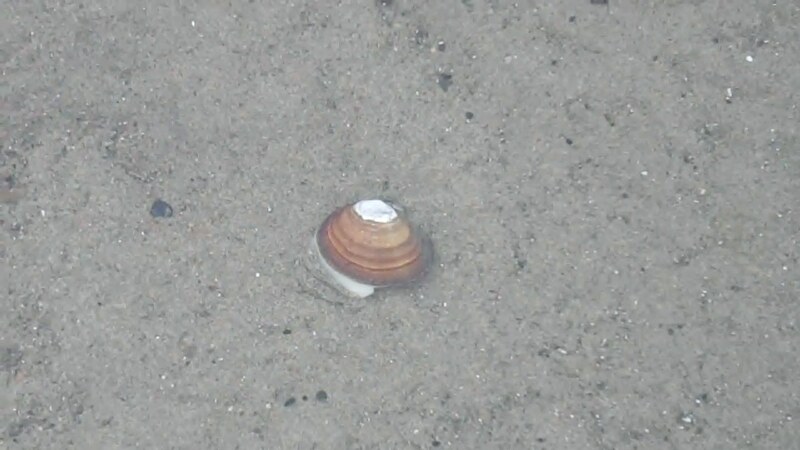 The clam in the photo is using its digger foot to dig into the sandy substrate. 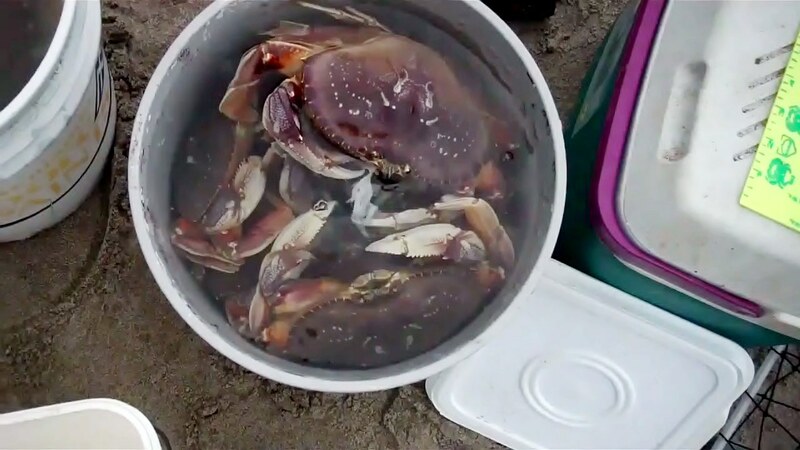 Crabbing in Siletz Bay is good from late spring to early fall but most productive during September and October in the lower bay from the third house from the last house on the Siletz Spit opposite of Cutler City seaward to the entrance of the bay. Crabbing with a Crab Max from the shore is very popular at Taft and at times can be very productive. Crabbing from the north shore of Siletz Bay a couple on their way to taking two limits of Dungeness crabs. Crabbing does not get much better than taking limits from the north shore of Siletz Bay using a Crab Max crab traps. Crabber Dustin scores big during the vernal equinox in September. The two most important dates on the crabbing calendar are the vernal equinox of the summer solstice and the autumnal equinox . Crabbing from the north shore was a planned event to see if we enjoyed the same level of success that we experienced at the vernal equinox of the summer solstice. The Equinoxes is when the sunlight shines equally on both the southern hemisphere and the northern hemisphere. The crabs were taken by my friend, Dustin and myself using the Crab Max folding crab traps baited with turkey necks, wings, legs and chicken legs. Ultimately, we retained 22 hard shell barnacle encrusted crabs. We returned 9 plus soft shell legal sized male crabs to the water. Our success of taking limits of Dungeness yesterday, September 23 exceeded our expectations!!! Driftwood Library 2018 Coastal Encounter Crabbing Clinic. 2018-05-01 Tue 18:30 Crabbing Lecture at the Driftwood Library for a discussion of crabbing methods in Oregon's Coastal Waters. We will meet the following morning at the pavilion located at the end of SW 51st. at 9:00 am. 2018-05-02 Wed 09:19 PDT -0.53 feet Low Tide Crabbing at 09:00 until approximately 13:00 weather permitting. Lincoln City Visitor and Convention Bureau Sponsored Crabbing Classes. Our crabbing classes are designed to provide participants the basic hands on skill and knowledge about the art of taking Dungeness and red rock crabs from Oregon's Coastal Waters; and if we are lucky we will catch some crabs during the lesson. Once again, we thank the Lincoln City for giving us the opportunity to share the wonderful bounty that Siletz Bay has to offer. 2018 Lincoln City Visitor and Convention Bureau Sponsored Crabbing Classes. 2018-06-06 Wed 13:12 PDT 0.53 feet Low Tide Crabbing Clinic at 12:30. 2018-06-08 Fri 14:54 PDT 0.98 feet Low Tide Crabbing Clinic at 14:15. 2018-06-20 Wed 13:14 PDT 0.15 feet Low Tide Crabbing Clinic at 12:45. Photo by crabber Nancy was taken on the balcony overlooking Siletz Bay. Nancy took our crabbing clinic before taking these ocean beauties the day following our crab clinic. 2018-07-03 Tue 11:00 PDT 0.05 feet Low Tide Crabbng Clinic at 10:30. 2018-08-30 Thu 09:47 PDT 0.75 feet Low Tide Crabbing Clinic at 09:15. 2018-09-27 Thu 08:41 PDT 0.95 feet Low Tide Crabbing Clinic at 08:15. Prior to crabbing, participants will meet at the pavilion located at the end of SW 51st St in the Historic Taft District of Lincoln City for a brief orientation. The orientation will familiarize participants with Oregon’s crabbing regulations, harvest methods, identification, and cleaning and cooking techniques. Parking is available between Mo’s Restaurant and the pavilion. Folding Crab traps. We recommend the Crab Max Crab Trap. Crab Max crab traps are designed by the guy who developed the Original folding crab trap. They are the best of breed. Purchase a Crab Max crab trap at our clam clinics and we will include a package of 3 chicken legs. A package of 3 chicken legs for bait. Each crabber is allowed to crab with up to 3 devices. Crab pots, crab rings and the small pyramid crab traps are inefficient for use while crabbing from shore. Crabs snares used with fishing poles work well but not nearly as well as folding crab traps. We ask you to limit your use of the crabbing devices to 1 crabbing device because of other people crabbing and fishing from the beach. We suggest using the Crab Max folding crab traps that we sell or purchase them from local retailers. The Crab Max folding crab trap was designed specifically for crabbing in Oregon's Bays. 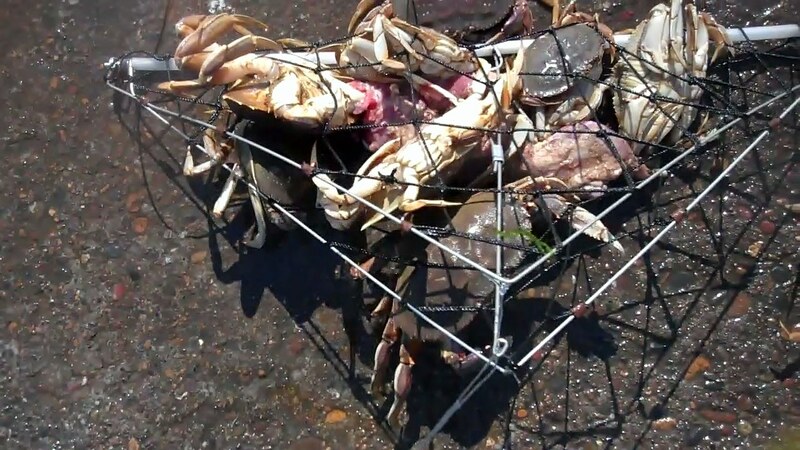 The other types of crab traps including other folding crab traps are not suitable for the type of shore bound crabbing application common to Oregon's Bays. Purchase of the Crab Max folding crab trap from us and we will provide a package of 3 chicken legs FREE at no charge. We supply Free Chicken Legs to participants who purchase the folding crab traps at the Crab Clinic. NOTE: Crab Max folding crab traps with hand lines will be available for purchase on site at the lecture and the day of the clinic. For those of you who are new to crabbing we suggest purchasing the Crab Max Starter Kit consisting of a Crab Max Crab Trap with a hand line, a crab gage, a wooden crab mallet, a 5 gallon bucket and the book Oregon's crabs for $50.00. Each additional Crab Max folding crab Trap cost $30.00 ea. and the chicken legs are FREE. Or Purchase the equipment separately: Crab Max crab traps for 30.00 ea. with a hand line. plus $2.00 for a crab gage, $3.00 for a wooden crab mallet, $4.00 for a 5 gal bucket and $10.00 for a copy of the new edition of Oregon's Crabs, or take advantage of the Crab Max Special by purchasing 3 Crab Max crab traps with hand lines and a copy or our latest edition of Oregon's Crabs, a crab gage, a wooden crab mallet, a 5 gal bucket for $110.00 and the chicken legs are FREE. The cost of Crab Max folding crab traps without the hand line is $30.00 ea. The cost of the hand line only is $8.00 ea. Payment must be made by cash or check only. If you plan to buy equipment at the clinic please arrive 30 minutes early. 2017 CRAB CLINIC DATES: Click on the lecture of interest to view the video clip of the Crabbing Clinic. The Tide Pool Tours on Lincoln City Beaches are fun for all family members. In still a since of awareness of the Marine Environment in your children by attending one of more of the tide pool tours on Lincoln City beaches. The tours are presented throughout spring and summer months. Lincoln City is conveniently located to Portland and Salem area families. 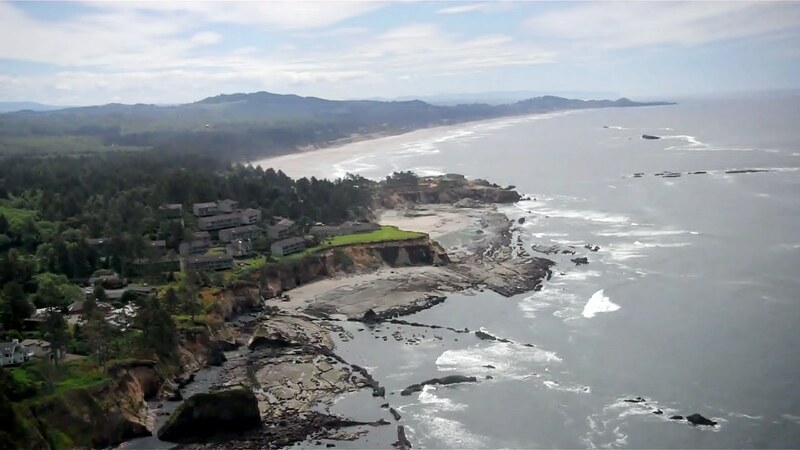 Lincoln City values the recreational opportunities available to visiting families to the Lincoln City area from Cascade Head in the North to the Siletz Bay in the south. Each fall thousands of salmon return to the four coastal rivers drawing nearly as many fishermen. In recent years the wild native Coho runs to the Devil's Lake watershed have rebounded to match historical numbers. The crabbing and clam digging in Siletz Bay and the Salmon River Estuary attract thousands of shellfish enthusiasts each year. Participation in the tide pool tours attract the interest of both young and old alike to view the marine organisms in the usually crystal clear tide pools. Marine organisms fluorescing in a tide pool on a bright sunny day. So if you have a few days to spend visit Lincoln City and participate in one of the Tide Pool Tours on Lincoln City beaches. 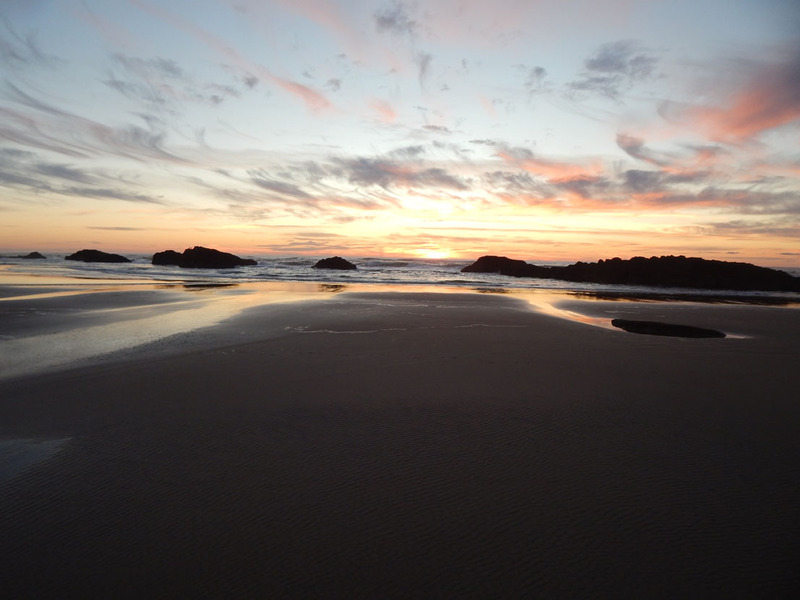 Click HERE to view the facts on the Free Tide Pool Tours on Lincoln City beaches. Each clinic begins with a brief orientation by local expert Laura Joki at the 33rd Street beach access just north of the Sandcastle Beachfront Motel. To get there, from Highway 101 turn west onto 35th Street (at the Christmas Cottage), continue down the street and take a right at SW Anchor Avenue. The beach access will be on the left hand side. Public parking lots are located at 35th and 32nd Street. Parking is also available along SW Anchor and at the beach access. Following the orientation, Laura will guide participants along the beach and help them identify coastal treasures. Some of the treasures you may encounter include agates, fossils, gemstones, shells, petrified wood, jasper, amber, rocks and minerals. Each clinic lasts 2 hours. Questions and feedback are encouraged from all participants. Clinics are complimentary and pre-registration is not required. Weather and ocean conditions can be unpredictable on the Oregon Coast. Please practice caution during beachcombing clinics. This includes always facing the ocean, being wary of beach logs and debris, and keeping small children and animals near you at all times. Clinic dates and times are subject to change due to weather conditions. Please check back here and on our Facebook page for any cancellations or date changes. In an effort to accommodate all visitors, the clinic dates marked with * will have extra time devoted to ADA participants. New to this year Lincoln City has added Beachcombing Clinics to to the marvelous number of diverse activities they sponsor. The clinics provide all memebers of the family a rewarding experience they will cherish for many years. 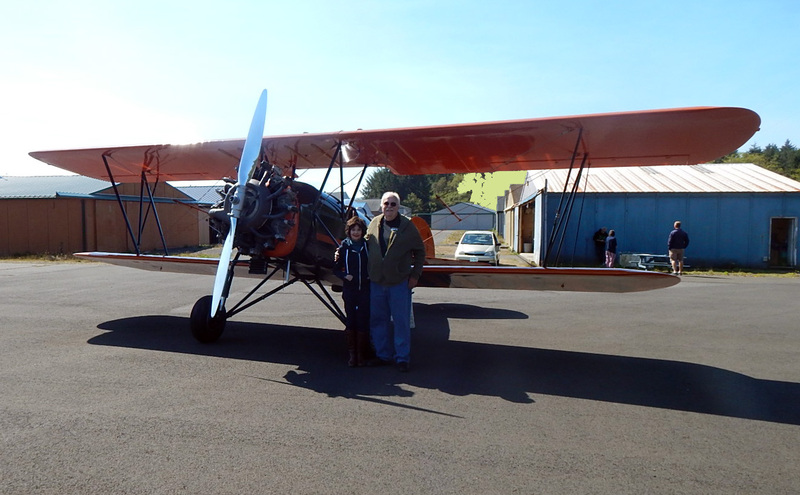 Click on Lincoln City to view the fun filled activities in the Lincoln City area, or click on the Oregon Coast Today Newspaper to see interesting places to visit and new things to experience while visiting the Central Oregon Coast. Held in November the annual Lincoln City Clam Chowder Cook Off is a major coastal event. Sadly the Clam Chowder cook off failed to attract enough contestants for the cook off to continue. 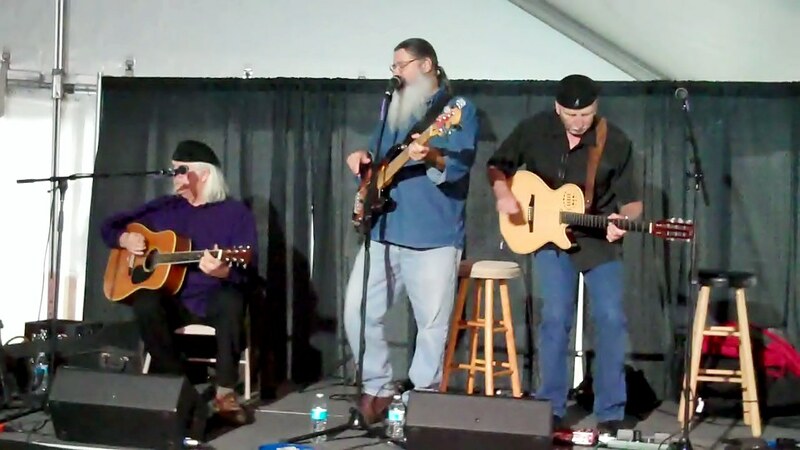 The Clam Chowder Cook Off was replaced by Lincoln City Chowder & Brewfest at the Lincoln City Outlet Stores. Celebrate the comfort food of the Oregon Coast along with signature craft beers from regional breweries, a perfect pairing. Enjoy live entertainment throughout the day and take part in fun games. For more information, call 541-994-3070. The Jambalaya Cook Off is sponsored by the Lincoln City Culinary Center. The Culinary Center sponsors the prestigious Clam Chowder Cook Off along with other cooking events. We were honored to be ask to participate as one of the judges. 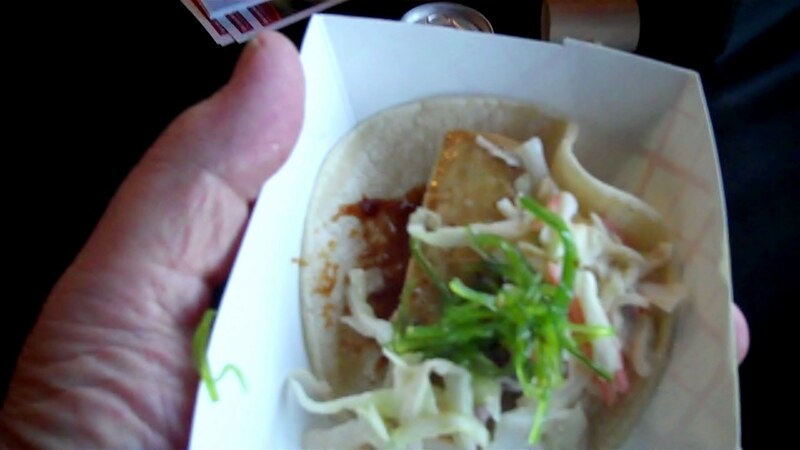 Lincoln City's Fish 2016 Taco Cook Off attracted a record number of fish taco enthusiasts. The turn out was so large the event ran out of tacos early. Agates are common to the gravel bars at the entrance of Siletz Bay. The gravel bars are revealed during periods of heavy surf of Winter storms. Photo of polished agates by Steve Martin. Create your own Glass Art at Jennifer Sears Art Studio located at 4821 SE Hwy 101 • 541-996-2569 in the Historic Taft District of Lincoln City, visit the Jennifer Sears Glass Art Studio to learn and experience the fine art of glassblowing. Explore your culinary side. Enjoy recreational classes featuring seasonally-inspired cooking that focus on the abundant foods of the Pacific Northwest. Classes include a wide array of subjects and cuisines and offer both hands-on and demonstration styles. Lincoln City Cultural Center Lincoln City Cultural Center features a series of scheduled events in addition to those listed in Performing Arts, Galleries and Classes all of which are topics of interest that challenge the interest for all family members. North Lincoln County Historical Museum features permanent and rotating exhibits where you can learn About Lincoln County’s rich history and unique qualities, from its rugged settlers to the development of its main industries. NOAA tidal projections for the Siletz River Estuary at Taft. Tbone tidal projections for the North shore of Siletz Bay at Taft. Click on the navigational hazards to avoid when crossing the Bar at the Siletz River Estuary. Local Weather - Click to view the local weather forecast for Lincoln City. 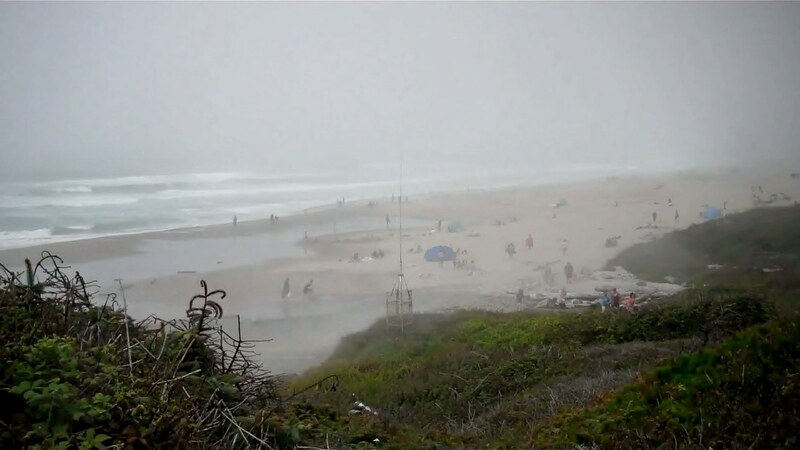 Recommended website: Click on the following link to see an detailed hourly forecast for weather and surf conditions on the northern Oregon Coast. Then click your coastal zone of interest to view the detail information compiled on the Marine Digital Point Forecast Matrix Interface. Marine Weather - Click on the marine weather forecast for coastal waters from Cascade Head to Florence OR out 10 nm. Click on Stonewall Bank Buoy Reports to view reports. Click on National Buoy Data Center to view the observations from buoys off the Oregon Coast. 120.4 The Siletz Bay National Wildlife Refuge. 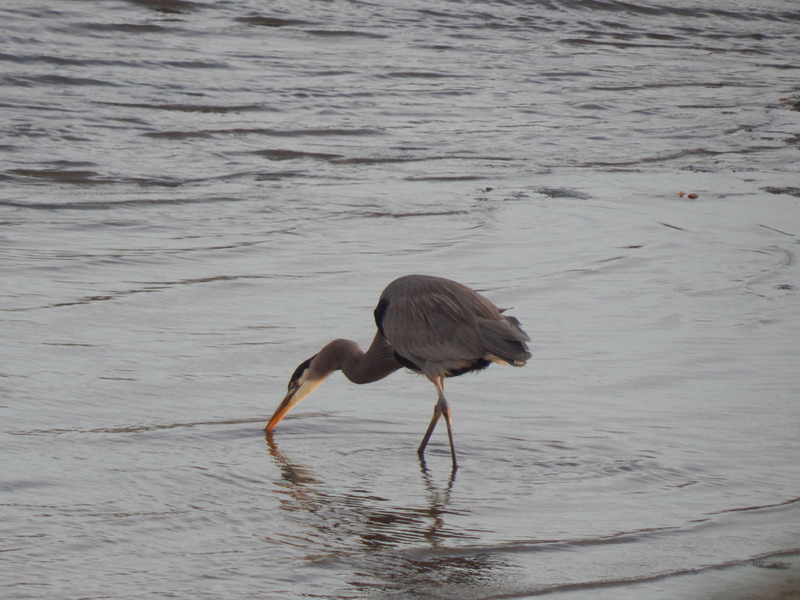 Siletz Bay's coastal habitats include salt marsh, mudflats, sloughs and conifer-hardwood forests, all of which are essential to shorebirds, waterfowl, wading birds, and Coho and Chinook salmon. Siletz Bay Unit: Waterfowl may be hunted daily on that portion of the unit that is west of US Hwy 101 south of Drift Cr and north of Millport Slough. Millport Slough Unit: Waterfowl may be hunted on Saturdays, Sundays, and Wednesdays on that portion that is south of Millport Slough and east of US Hwy 101. On both units, only portable blinds or blinds constructed of on-site dead vegetation or driftwood may be used. All blinds and decoys must be removed at the end of the day. Entry to refuge lands is prohibited from one hour after sunset to two hours before sunrise. For more information call 541-867-4550. 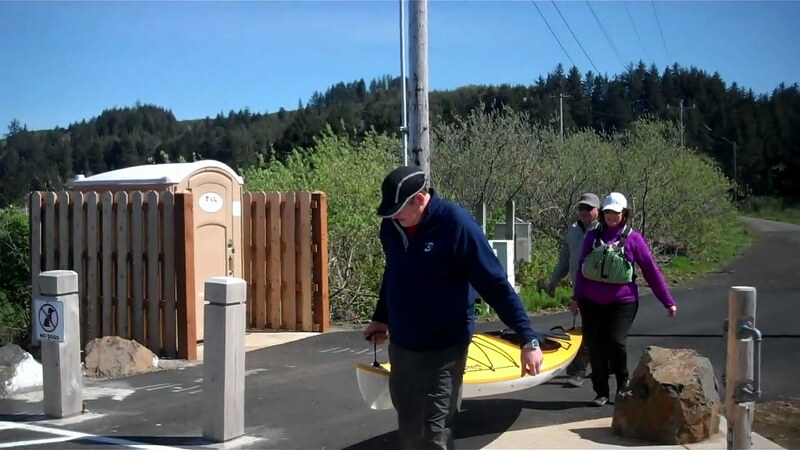 The Siletz Bay National Wildlife Refuge has opened the visitor informational kiosk and entry portal for visitors to the wildlife viewing trail and launching area for canoeist and kayakers. 121.4 Siletz Spit is accessed through the parking lot at the Market Place at Salishan. Turn west into the parking lot from Highway 101. The hiking trail to the sand spit is located in the right back corner of the parking lot. It takes approximately 15 minutes to walk the nature trail to the beach. 121.4 Salishan Golf Resort at Gleneden Beach is a destination golf resort as well as the Market Place at Salishan. 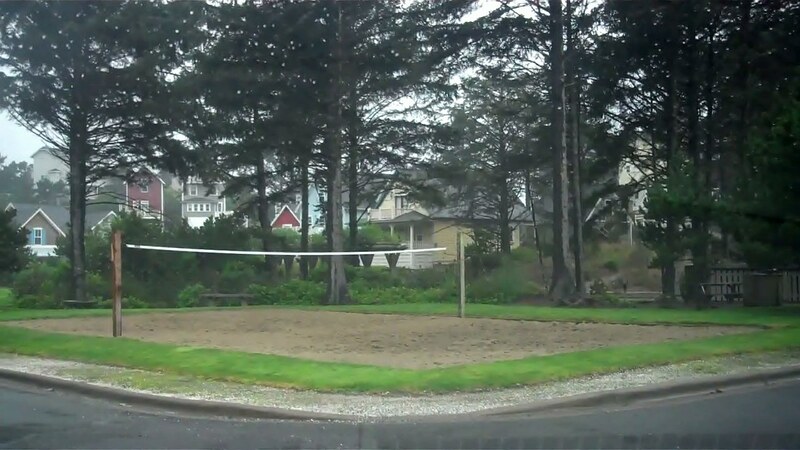 121.6 & 122.5 Gleneden Beach is located between Lincoln Beach and the Siletz Spit. Fishing for redtail surfperch fishing is good at times along the beach to Siletz Spit. To access the beach while traveling from the south turn west at mile mark 122.5 on Wessler Street and follow it to the Gleneden Beach Wayside. The parking area is large enough to accommodate all vehicles. To access the beach while traveling from the north by turn west at mile mark 121.6 onto Gleneden Beach Loop Road. Follow the loop road to Wessler Street. Turn west to the State Park. Access to a small parking area and beach trail is gained by turning west onto Laurel Street. Follow the sign to the Beach Comber Motel. Park the car at the short dead end and walk down the beach access trail to the beach. 124.4 Lincoln Beach is located north of Forgarty Creek Cove and south of and adjacent to Gleneden Beach via Willow ST. Lincoln beach is one of the sites where two thousand year old Hemlock tree stumps were uncovered by erosion from the unusual current flow caused by the ocean condition El Nino. The erosion has uncovered the remnants of ancient forests that were flooded by the ocean between two and four housand years ago. The tree stumps of Douglas fir, Sitka Spruce and Hemlock were uncovered at fourteen locations along the Oregon Coast. My wife Diane poses on one of the stumps of the two thousand year old Hemlock trees and our yellow Labrador Zoë sits at her feet. 125.0 Fishing Rock State Park is a renowned location to fish for the species associated with the rocky shore, i.e. bass, sea trout, perch, cabezon and lingcod. Fishing south along the rocky shore to Otter Crest consistently produce fine catches of the fish species associated with the rocky shore along the Oregon Coast. From the north turn west on Fishing Rock Street at mile marker 124.8 or turn west onto Forgarty Ave from both directions at mile marker 125.0. Park at the end of the block and follow the trail to the fishing area. 125.3 Forgarty Creek Cove is a sandy beach cove dominated by rocky structure inside of the surf line. The cove is located west of Forgarty Creek State Park. The entrance to Forgarty Creek State Park is on eastside of Highway 101 just south of Forgarty Creek Cove. There is ample parking for all vehicles at the State Park. Park and follow the sighs to the beach. Fishing is fair for perch. After sunset the fishing for bass is excellent under the lights from the Surfrider Inn. 125.8 Boiler Bay access to the north shore is from a very small parking area adjacent to Highway 101. Fishing the north point at high tide is renowned for the fish species associated with the rocky shore, i.e. bass, sea trout, perch, cabezon and lingcod. Use caution when entering the highway from the small pking area. Refer to the Oregon Sport Fishing Regulation restricting the taking ofshellfish or marine invertebrates within the Boiler Bay Research Reserve. 126.4 Boiler Bay State Wayside is located north of the world’s smallest bay – Depoe Bay. Boiler Bay received its name from the boiler that can be seen on the north shore during low tide. The boiler is all that remains of the steam schooner J. Marhoffer. The schooner was on fire when it drifted into the bay on May 18, 1910 and sank. The fishing in Boiler Bay is renowned for the fish species, i.e. bass, sea trout, perch, cabezon and lingcod. Anglers fish from behind the fence overlooking the cliff adjacent to the parking lot or from the rocks that extend out from Government Point south toward Depoe Bay. Caution: each year the ocean claims the lives of visitors, fisherman or otherwise, who fall into the ocean when they loose their footing from the extremely slippery rocks. Visitors to the rocky shore should avoid walking in areas with the bright green alga refered to as Sea Lettus. Stepping on the slippery Sea Lettus will send you falling out of control onto the rocky substrate beneath your feet. Depoe Bay: Port Dock 1, the primary crabbing dock, is the first dock in the image. The single lane boat launch is shown on the south shore. The World’s smallest bay attracts thousands of visitors each year. The Spouting Horn is a crack in the basalt on the rocky shore that sends ocean spray skyward over on looking storm watchers during winter storms. Depoe Bay's location is ideal as it is just minutes from some of the most productive fishing for nearshore or deepwater complex rockfish species along the Oregon Coast. Anglers fishing out of Depoe Bay and Yaquina Bay have the highest catch ratio of rockfish per angler on the Oregon Coast according to statistical catch information compiled by the National Marine Fishery Service. Know your harbor. Familiarize yourself with the conditions at the bar. Navigational hazards for crossing the bar at Depoe Bay NOAA's Bar Observation Website for Oregon's Bays. Check the NOAA Bar Observations website for updated closures and restrictions. 127.5 Click on Whale Watch Center located just north of the bridge over Hwy. 101 to get a Whale's Eye View of Depoe Bay. Depoe Bay is one of the safer ports of entry for the small boats. Call the Coast Guard at 1-541-765-2122 for a report of local bar conditions and the extended marine forecast. The entrance to Depoe Bay is through a narrow crack in the basalt rock. The entrance should not be attempted at night or in rough weather without local knowledge. Notice of entry via channel 80 and by horn blast is required before a boat may enter or exit the harbor channel. Vessels entering Depoe Bay must align the range markers of two vertical red lights located above the entrance to Depoe Bay before entering the harbor channel through the basalt rock. There is a lighted bell buoy located inshore from a lighted whistle buoy located 1.1 miles west offshore. Once clearing the harbor follow the channel to the lighted bell buoy. Fishing is excellent for rockfish over the rocky reefs and along the edge of the kelp forest north to government Point at Boiler Bay and to the mouth of the Siletz River. Fishing for rockfish is excellent south along the rocky reefs and kelp forest off of Morocco, Cape Foul Weather and Otter Rock. Fish for coho and Chinook salmon seaward outside of the 30 fathom curve from late June through the end of July. A word of caution, avoid fishing off of the North Reef and Flat Rock because large swells can materialize out of nowhere. North Reef is located approximately 550 yards west and slightly north of the entrance to Depoe Bay and Flat Rock is located approximately 450 yards southwest of the entrance to Depoe Bay. An important rule at Depoe Bay: Never fish between the entrance and the red bell buoy. The Rough Bay Warning Light displays two flashing lights when activated and is positioned on a building north of the entrance channel. When the lights are flashing check with Depoe Bay Coast Guard on VHF channel 16 for crossing restrictions. When visibility is less than one nautical mile, the Coast Guard activates its fog signal. The horn then sounds for 2 seconds, once every 30 seconds. The cabezon and lingcod were caught off of Boiler Bay while fishing from a boat drifting over the rocky reefs. The salmon were caught outside of the 30 fathom curve. Bank fishing from the rocky structure inside the bay at low tide is good for perch, sea trout and the occasional flurry of bass. The fishing outside the bay in front of Depoe Bay from the basalt rocky shelf is excellent for perch, sea trout, cabezon, bass and lingcod. Fish south of the entrance to Depoe Bay or north of the entrance to the ‘Crack’ located 150 yards northward Fishing from the north point at Depoe Bay is outstanding for bass: Black rockfish, Blue rockfish and the recently identified Deacon rockfish in addition to cabezon, red irishlord, lingcod ocean perch and greenling during a high or low tide when the ocean is flat clam. The end of the point is accessible at low tide, but is dangerous at all times except when the ocean is flat clam. Fish the south side of Pirates Cove during high tide for bass and lingcod. Access North Point by turning west onto Sunset to the corner of SW Alsea Ave, park and walk through the public beach access trail to North Point. To access the south side of Pirates Cove turn right onto Alsea Ave to Vista St. Fishing at the south point at Depoe Bay is good for perch, sea trout, bass and lingcod during low and high tide. Click on Distinguishing the new species of Blue rockfish, the Deacon rockfish, from Black and Blue rockfish is significant to meet the retention requirements for Deacon, Blue and Black rockfish. Meet the Deacon rockfish. Anglers need to be aware of the regulations governing the taking of groundfish. Click on the ODFW Sport Groundfish Webpage to view the groundfish regulations. Click on the following links for additional information governing the taking of sport ground fish. Waypoint, Stonewall Bank Yelloweye RCA coordinates, Longleader Gear Information, Descending Device Information. Depoe Bay boat launch islocated at the south end of the bay. The access road is the first street to the east south of the Hwy 101 Bridge. There is a two dollar launch fee but the launch is congested by anglers waiting up to 1½ hours to launch boats during salon season. If fishing from the rocky structure at Depoe Bay is not your thing, then try fishing on one of the fine Charter Vesels from Dockside Charters. As a disabled veteran it was an honor for me to fish with other veterans aboard the TackleBuster out of Depoe Bay. Fishing with the Members of the Paralyzed Veterans of America sponsored a rockfish fishing trip aboard the TackleBuster out of Depoe Bay. Crabbing for ocean sized Dungeness crabs with vets on the TackleBuster. Forty five dinner plate sized crabs were taken. Depoe Bay Crabbing allows crabbing and fishing from the port docks from one half hour prior to sunrise and one half hour after sunset. All the crabbing equipment must be removed from the docks during prohibited hours. Lifejackets are required to be worn by children under 14 years of age when crabbing from the port docks but you must provide lifejackets for them. On Sunday 11/30/14 the view of the Highway 101 Bridge over the crack in the basalt from port dock one is spectacular; however, the crabbing was not. My friend Dustin and I along with my clam digging dog, Cali Ann spent several hours on the crabbing dock and managed to catch short male Dungeness. 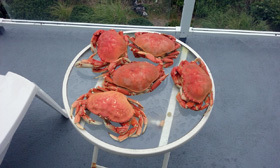 The bay is home to both Dungeness and red rock crabs. However, not satisfied Dustin scored the two beauties several days later using the Crab Max Crabbing Traps. 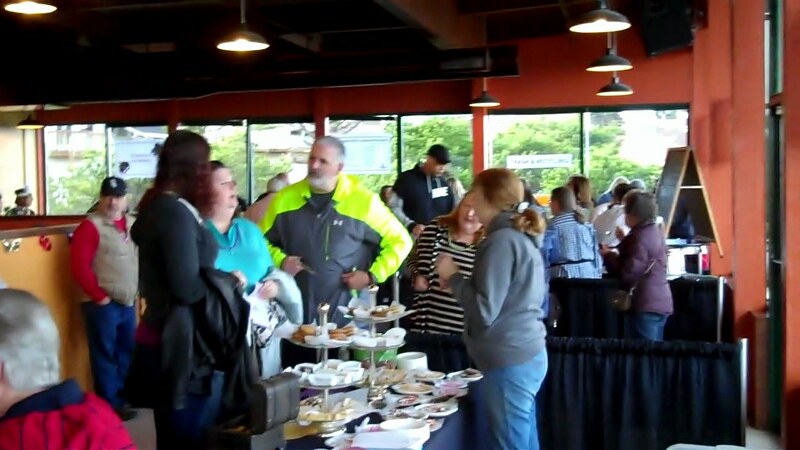 The Depoe Bay Crab Feed and Wooden Boat Show is an annual Spring event worthy of a visit withfamily and friends. Click on the above link for details. Click on the NOAA tidal projections to display the tidal projections for Depoe Bay. Local Weather - Click to view the local weather forecast for Depoe Bay. 127.7 Ellingson St. is the access point to the rocky basalt shelf located south of the entrance to Depoe Bay. Fishing from the basalt rocky shelf on the south side of Depoe Bay is excellent for perch, sea trout, bass and lingcod during low and high tide when the ocean is calm. 128.2 South Point St. is the access point to the rocky cliffs south of Depoe Bay. The fishing at the south point is excellent for perch, sea trout, bass and lingcod during low and high tide when the ocean is calm. 129.6 Rocky Creek State Park is located just north of Cape Foulweather. The entrance is just north of the Otter Crest Loop Road. Anglers fish south from the entrance to Whale Cove along the rocky shore to the mouth of Rocky Creek. The fishing for bass, sea trout, cabezon and lingcod is excellent during high tide. Whale Cove is closed to fishing and the taking of shellfish and invertebrates. 129.8 Morocco Rock Quarry is located 1.3 miles south on the Otter Crest Loop Rd. Park at the quarry and follow the trail through the trees to the rocks below to excellent fishing for all rockfish species. 133.0 The Devil’s Punch Bowl is located between the Cities of Newport and Depoe Bay west of Highway 101. Turn west onto the Otter Crest Loop. Turn west on 1st or 3rd street and drive to parking area. Follow the signs to the Marine Gardens Trail off of 3rd Street or the tral to the upper end of Beverly Beach from 1st Street. The fishing for rockfish and perch is fair at best. Refer to the Oregon Sport Fishing Regulation restricting the taing of shellfish or marine invertebrates within the Otter Rock Marine Garden. The Otter Crest Gift Shop and Interpretive Center is located on the Otter Crest Loop at Cape Foulweather off of Hwy 101. The visitas offered at The Whale Watching Center are located ten miles north of Newport. If you plan on visiting the area refer to the regulations for the taking of marine resources from Otter Rock Marine Reserve. The view of the Inn at Otter Crest was taken from the viewing area next to the Otter Crest Gift Shop. 134.1 Beverly Beach is sandy beach located north of Moolock Beach and south of the Devil’s Punch Bowl at Otter Rock. Fishing for redtail perch ranges from poor to fair. Fishing for Silver surfperch ranges to fair. There is parking on the ocean side of Highway 101 that accommodates recreational vehicles and trailers for viewing the vistas below. Park in the day use parking area at Beverly Beach State Park to visit the ocean beach. Beverly Beach State Park is a full service State Park located on the eastside of highway 101. Beverly beach is one of the sites where four thousand year old Sitka spruce tree stumps that were uncovered by erosion from the unusual current flow caused by the weather condition El Nino. 135.0 Moolock Beach is comprised of sand and gravel. The fishing for surfperch is fair. Follow the signs to the parking area just west of Highway 101. There is a turnout on the west side of the highway that will accommodate a limited number of vehicles. 136.9 Beach Access to the southern section of Moolock Beach from NW 68th St. To access the beach turn west onto NW 68 St. and travel the short distance to the parking area. There is limited parking for a few vehicles but there is no room for truck with trailers or motorized recreational vehicles. 137.2 turn west onto NW 60 St. Go west 1 block to Agate Beach Neighborhood and Dog Park features a large fenced dog park, covered picnic shelter, small playing field, picnic tables, BBQ grill, play structure and restrooms. 137.6 Yaquina Head Outstanding Natural Area is located on the site of a former rock quarry. The term "Outstanding Natural Area" is an accurate description of Yaquina Head. Yaquina Head was the site of extensive rock quarrying before being purchased by the BLM. 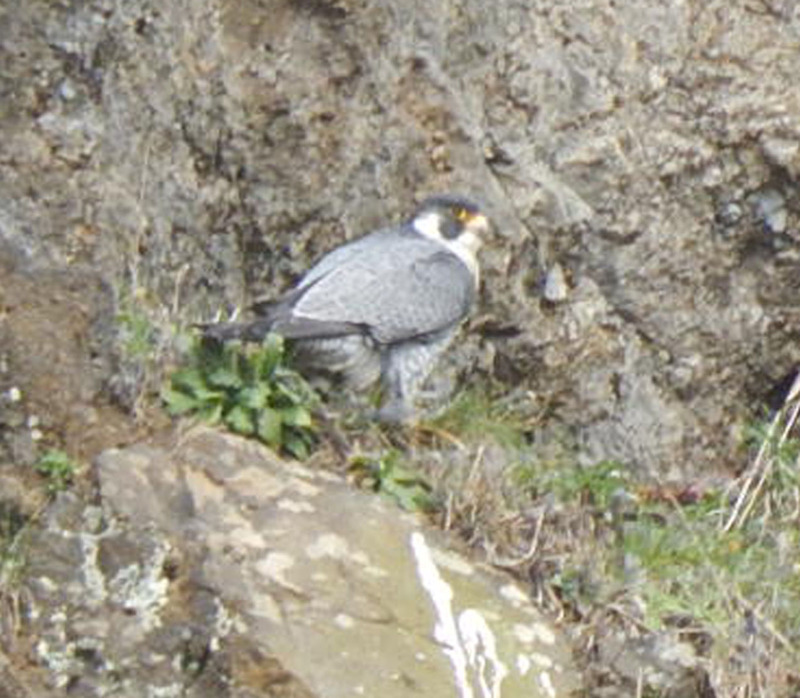 Yaquina Head is home to nesting pair of Peregrine Falcons. The BLM created handicap accessible tide pools complete with by concrete ramps from the former rock quarry. There is an interpretive center and daily tours of Oregon’s tallest lighthouse. The lighthouse, which was built in 1873, is ninety–seven feet tall and was constructed with double tube walls using bricks. The ghost of a worker who fell to his death during construction haunts the Lighthouse and has warned some visitors of danger. The space between the double tube walls was so narrow the worker’s body was not recovered and his body was entombed between the walls where he died. The cliffs and offshore rocks are home to a variety of seabirds and seals. The viewing of migrating gray whales is a major attraction as is tide pooling. Refer to the Oregon Sport Fishing Regulation restricting the taking of shellfish or marine invertebrates within the Yaquina Head Marine Garden. Access the Yaquina Head Outstanding Natural Area by turning west from Highway 101 onto Lighthouse Road and follow the signs to the parking lot at Quarry Cove. Some anglers park at the small parking area ¼ mile outside the Yaquina Head Outstanding Natural Area to avoid having to pay the five dollar entry fee. The fishing at Yaquina head is renowned for the fish species associated with the rocky shore, i.e. bass, sea trout, perch, cabezon and lingcod. 137.7 Agate Beach is accessed from the pubic parking lot adjacent to Highway 101 just below the Lighthouse Road. The entrance to the parking lot is about one block down the highway from the Lighthouse Road. There is a sign at the south end of the parking lot that identifies the Lucky Gap trailhead to Agate Beach. 138.4 Agate Beach is located in the northern section of Newport. Traveling from the north turn west from Highway 101 onto Ocean View Drive at mile 138.4, or from the south turn west from Highway 101 onto Edenview Way to the Agate Beach Wayside located about ½ mile down the road. A small parking lot is located on the ocean side of the street. Ample parking for all vehicles is available in the parking lot across the street and north of the smaller parking lot that has picnic tables and restrooms. Agate Beach is renowned for razor clams but the population fluctuates from very few to very high numbers. The clam digging area is several hundred yards north of the Agate Beach Wayside. Fishing for redtail surfperch ranges from poor to fair. 138.5 Big Creek Reservior (Newport Reservior) follow the signs east to the reservior. The reservoir is home to planted trout, largemouth bass, yellow perch and brown bullhead. The trout in the photo were taken the day the trout were planted. Taking advantage of the recreational opportunity will fullfil the exectations of you and your family and friends. Big Creek Reservoir: nature's meditation!!! Earlier my son and I fished for planter trout and filmed the geese with their goslings. The seven young geese in the video clip are what I suspect are the how grown adulthood. Check the ODFW trout planting schedule to see the week that ODFW plans to stock your lake of interest. Call the local ODFW office or the fish hatchery to find out the potential day of the week they plan to stock your lake of internet. 138.2 Access to the Big Creek to Beach Trail Hike is by turning east on NE 36th ST and traveling 1.0 miles to the trailhead. Park in the parking area accross the street (NE Big Creek RD.) from the trailhead. The trail follows Big Creek to the Ocean. There is a pedestrian tunnel under Hwy 101 to the Agate Beach Wayside in addtion to the predestrain tunnel under Ocean Veiw Dr from Agate Beach Wayside to the beach. Newport Tennis Courts at Frank Wade Memorial Park is located at the top of the hill off of the now oneway road, NE Big Creek Rd. Andersen Creek Trailhead is located on NE Big Creek Rd at the yellow gate one tenth of a mile south of the entrance to the Newport Tennis Courts. To return to Hwy 101 continue on NE Big Creek RD to where it joins NE 12 St at Sam Case Elementary School to Hwy 101. 140.2 Nye Beach is located in Newport. Turn west from Highway 101 onto NW 6th Street and drive to NW Coast Street and turn left. Travel a block and a half turn right and drive to the parking lot at the Nye Beach Turn around adjacent to Nye Beach. Parking is limited to passenger cars and light trucks. The fishing for surfperch on this section of Nye beach ranges from poor to almost fair. Turn west on NW 6th St to access the Newport Skate Park located on NW High St. The Newport Skate Park is for the young and young at heart with strong bones. Portect yourself! Be sure to wear protective knee and elbow pads in addition to helmet. Nye Creek Trail Hike is a short alternative to walking the streets to get to the Nye Beach Turnaround. The Nye Creek Trailhead is .3 of a mile north of the intersection of W. Olive St. and Nye St.
140.4 is the location of Hwy 101 and Hwy 20. Take Hwy 20 to the east to Corvallis and beyond. Travel west Hwy 20 becomes East Olive. Take East Olive to the Don Davis Park accross the street from the Performing Arts Center with its Vietnam War Memorial walk to Nye Beach below or the accomplished Kids Coast Park. Access Agate Beach, Nye Beach and the iconic Yaquina Bay Park can be made by turning west from Highway 101 onto NW 3rd Street, 6th Street and drive to Coast Street and turn left. Travel a block and a half turn right and drive to the parking lot at the beach. Parking is limited to passenger cars and light trucks. Traveling from the north turn west from Highway 101 onto Ocean View Drive at mile 138.4, or from the south turn west from Highway 101 onto Edenview Way to the Agate Beach Wayside located about ½ mile down the road. A small parking lot is located on the ocean side of the street. Access to the Yaquina Bay Park is accessed by exiting Highway 101 from either direction just north of the Yaquina Bay Bridge. Stay in the right lane and exit right into Yaquina Bay State Park at the North Jetty section of Nye Beach. Park the car and walk down to the beach. There is ample parking available for all vehicles. The fishing for surfperch on the beach ranges from poor to almost fair to good in season on the beaches associated with the Yaquina Bay Jetty. Kid's Coast Park Newport is next door to the Newport Performing Arts Center 1 block south on SW Coast St from the intersection wiht SW Olive St. The Newport Performing Arts Center: is located on the SW corner of SW Olive and SW Coast Streets. Newport Recreation Center and Swimming Pool is access by turning right onto SE Avery St. to SE 2 St. The Recreation Center charges a use fee for visitors to the Center. Olalla Creek Reservoir is a 120-acre reservoir on Olalla Creek about a mile north of Toledo, Ore. The reservoir reaches a maximum depth of about 65 feet near Olalla dam. The shoreline and much of the surrounding landscape is owned by Georgia Pacific Corporation and managed as commercial timberland. The company allows public access to the water, and small boats without motors may be launched. The lake contains planted rainbow trout, recycled steelhead, largemouth bass,yellow perch, bluegill and brown bullhead catfish. Ellmaker State Wayside is located on U.S. 20 twenty three miles west of Corvallis. The Ellmaker State Wayside makes a great spot to stop and refresh between Newport and Corvallis. There are restrooms, picnic tables and a doggie go area. 141.4 Access to the North Jetty of Yaquina Bay, Yaquina Bay State Park and Newport's Bayfront are accessed by exiting Highway 101 from either direction just north of the Yaquina Bay Bridge. Stay in the right lane and exit right into Yaquina Bay State Park the North Jetty section of Nye Beach. Park the car and walk down to the beach. There is ample parking available for all vehicles. Fishing is fair to good for surfperch from the north jetty and the sandy beach next to it. The sandy beach adjacent to the north jetty is listed by ODFW as a location to dig for razor clams. Follow SW Naterlin Dr on the east side of the Yaquina Bay Bridge and follow it past the Coast Guard Station to Bay Blvd with its unique shops and resturants. The are two crabbing docks located on the bayfront. The Bay Street crabbing dock is next to the at the bottom of the hill from the Coast Guard Station. The Abby Street crabbing dock is a block up the street from the Bay Street Crabbing dock. There is a pubic restroom at the Abby Street crabbing dock. 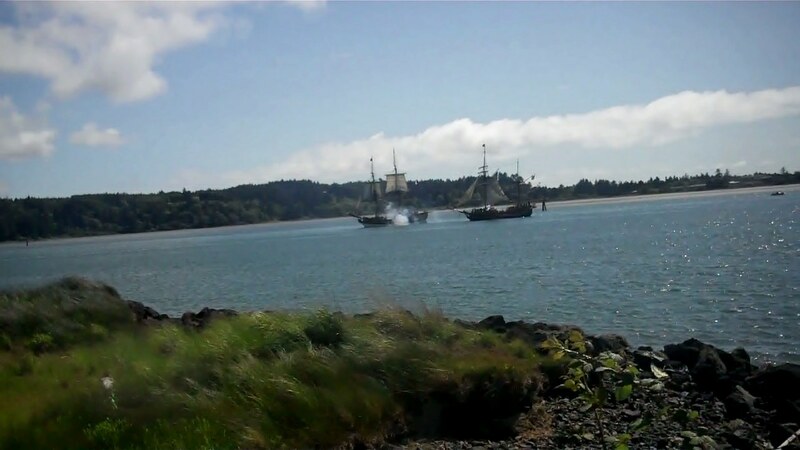 The Marine Discovery Tours on the Newport bay front offers discovery boat tours of the Yaquina Bay. South jetty. There are submerged rocks along the length of the jetty; do not hug the jetty on either side. Boaters should remain in the channel entering and leaving the river so that if their engines fail, they will have time to anchor before the current or wind sweeps them into the rocks. North jetty. This jetty affords excellent protection from northerly winds. However, the same caution should be exercised in running close to it as with the south jetty. Be especially cautious of submerged rocks near the tip of the north jetty. On an ebb tide, stay well clear, up to the end of the north jetty, as there is danger of being swept into the breakers at the extreme end. Remain in the channel outbound until you pass buoy #1 at the south end of Yaquina reef. This applies to entering the river as well as leaving. South reef. This reef can be considered an extension of Yaquina reef and is equally dangerous because it has the same surf conditions. When going south, continue out the channel to the lighted bell buoy #1 before turning south. Yaquina reef. This reef is extremely dangerous, even when the winds are light and few breakers can be seen. A large swell coming from seaward can cause a tremendous breaker on this reef with little or no warning, even when the sea is otherwise calm. Never fish close to the reef and do not turn north between the end of the north jetty and buoy #1. Rough Bar Advisory Sign is positioned on shore at the east end of Coast Guard pier. Call the Coast Guard at 1-541-265-5511 for a report of local bar conditions and the extended marine forecast before crossing the bar. NOAA's Bar Observation Website for Oregon's Bays. Check the NOAA Bar Observations website for updated closures and restrictions. The central Oregon Coast has the highest catch ratio of rockfish per angler on the Oregon Coast according to statistical catch information compiled by the National Marine Fishery Service. Yaquina Bay’s proximity to productive fishing grounds and the large charter fishing fleet serving anglers out of Yaquina Bay and Depoe Bay is the reason for the high catch ratio. Fishing for rockfish is excellent north along the Yaquina Reef and south along the South Reef all the way to Johnson Rock. Yaquina Reef runs northward from the north jetty paralleling the coast just off the Yaquina Bay Lighthouse towards Yaquina Head. The south reef is located approximately 1/4 of a mile southwest of the south jetty and extends south to Seal Rock. The California Current pushes ocean water southward along the Oregon Coast from late spring through late fall. The reverse occurs from late fall into late spring as the Davidson Current pushes ocean water north along the Oregon Coast. Tidal water flowing out Yaquina Bay carries forage fish in the direction of the ocean currents along either the Yaquina Reef or the South Reef. Fish the South Reef from late spring through late fall and the Yaquina Reef from late fall through late spring. Some of the best fishing for salmon, rockfish and flatfish is found along Stonewall Bank. Locally the Stonewall Bank is known as the Rock Pile. The Rock Pile is located 14 miles from Yaquina Bay and is a renowned location for excellent fishing for all fish species. Salmon arrive at the Rock Pile in fishable numbers early in July with the best fishing occurring after the first of August. The best fishing for lingcod (other than the spawning period) occurs from June through September at the north end of the Rock Pile and in an area north of the Rock Pile along the 50 fathom line. Fishing for lingcod is also productive along Johnson Rock located approximately 1½ miles offshore 5 miles south of Yaquina Bay. Fishing for coho salmon is excellent west of Yaquina Bay outside of the 30 fathom curve from late June to the middle of July. Some of the best early season fishing for Chinook salmon occurs on the Fingers located west of the Rock Pile or at Heceta Banks. The time and distance to it takes to travel to Heceta Banks is rewarded with some of the finest fishing for salmon and rockfish on the entire Oregon Coast. The photograph of the black rockfish, the mixture of rock and kelp greenling and the rainbow surfperch where caught along the finger jetty rocks while crabbing in Yaquina Bay. Black rockfish are the dominate rockfish caught in Yaquina Bay followed by copper rockfish, blue rockfish and an occasional grass rockfish and brown rockfish. Click on Distinguishing the new species of Blue rockfish, the Deacon rockfish, from Black and Blue rockfish is significant to meet the retention requirements while fishing for Deacon, Blue and Black rockfish. Rockfish enter Yaquina Bay early as March but usually from April through October withdrawing from the bay during periods of heavy seasonal freshwater runoff in winter and to deeper water during the daylight hours. The most productive fishing for black and copper rockfish occurs in the jetty channel from the Highway 101 Bridge seaward followed by fishing in the lower bay among the pilings associated with the fish plants and around the riprap on both ends of the seawall during an incoming tide after sunset or at the twilight of dawn. During the day the best fishing for blue rockfish occurs at sunrise on the ocean side of the north jetty during an incoming tide when the ocean is flat calm.. After sunset fish for black and blue rockfish in the seaward end of the jetty channel as they move into the jetty channel to feed. Fish for all five species of shallow water rockfish along the submerged structure of the north, south and finger jetties, among the pilings in front the Yaquina Bay Bridge. February 23rd, what a great day to be out on the water with the Long View Fishing Club. The fishing club chartered the charter boat for a five hour Bottom Fishing trip over the rocky south reef at Seal Rock. The boat limited out on bottom fish and 7 lucky anglers took home lingcod. Including the two anglers who caught the largest in the photographs. Lingcod at the fish cleaning station. So if you are visiting the Newport area of the Oregon coast plan to include a trip on one the fine charter vessels at Newport. Fishinng and crabbing outside Yaquina Bay. A good way to spend a windy day on the ocean onboard the Long Fin out of Captain's Reel Deep Sea Fishing Charters with Captain, Gerald and his deckhand, Travis. The fishing and crabbing was great!!! Lingcod spawn along the finger jetties, the south jetty and north jetty from late January through April. The best fishing occurs from late February through early April from the noticeable hump inside the north jetty to the end of the jetty. The hump was the end the original jetty. 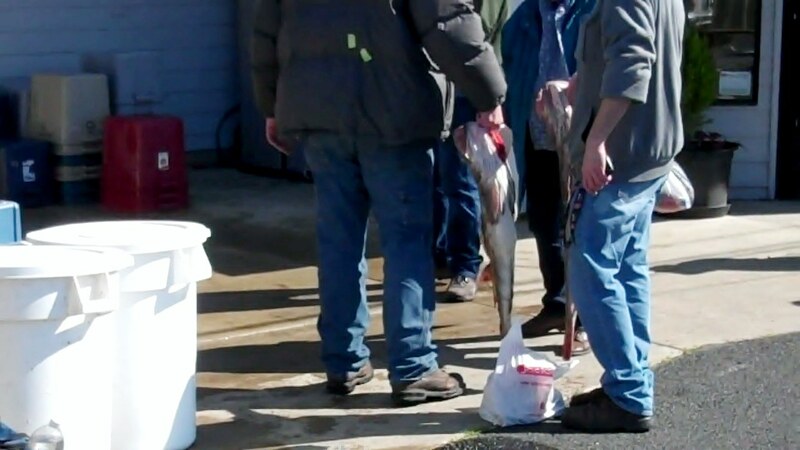 Historically the fishing for lingcod in Yaquina Bay is the most productive for any of Oregon’s bays. Ocean Perch: Striped seaperch, Pileperch, walleye surfperch, redtail surfperch and white seaperch enter the bay in spring. Striped seaperch and pileperch are the dominate perch species in the bay. Schools of perch move onto the tidal flats feeding heavily on intertidal animals feeding up the bay as far as the Toledo Airport. The fishing ranges from fair to excellent through fall depending on the tides and the weather conditions. Fish for perch along the submerged structure of the north, south and finger jetties associated with the entrance of the bay, among the pilings around the Yaquina Bay Bridge and underneath the docks throughout the bay. Fishing is productive along the riprap seawalls of the South Beach Marina or along the seawall associated with the Port of Newport. Fish at the entrance of the channels that drain the tidal flats behind the Marine Science Center, Sally’s Bend or at the entrance to King’s, McCaffery or Poole sloughs. The perch in the video clip are shiner perch.. Shiners are great tasting but small and require de-boning with a sharp knife. They make great fish tacos. Greenling: Kelp greenling, rock greenling and whitespotted are year–round residents. The best fishing occurs late spring and fall. The fisery ranks second overall when compared to Tillamook Bay. Fish for greenling along the submerged structure of the north, south and finger jetties, in the small kelp bed along the north jetty, among the pilings in front the Yaquina Bay Bridge and underneath the docks throughout the bay. Cabezon fishing is slow most of the year but improves during the peak of the spawning period from February into March along the finger jetties, the south jetty and the north jetty. Poke pole fishing is the most effective method used to catch cabezon during the spawning period especially on the finger jetties. Pacific herring spawn anytime from February to April. Chinook salmon enter the bay in small numbers as early as the last week of August but usually by the second week of September. Increasing numbers of Chinook salmon enter the bay from the middle of September peaking during the first half of October before declining in November. Chinook salmon are present through out the lower bay, the upper bay and in the lower tidal reach of the river channel from October into early November. The catch is evenly divided between 3, 4 and 5 year old fish. The best fishing occurs in the lower bay and in the ocean outside the jetty jaws. Troll in the jetty channel with or against the incoming tide from the jetty jaws to the Coast Guard Station and in the channel from the Coast Guard Station past the seawall to Sawyers Landing trolling a plug cut herring with or without a herring dodger. Remember to buy the largest herring available preferably herring in blue or purple labeled packages. Trolling with or back bouncing mooching a plug cut herring with the outgoing tide are effective methods that will put fish in the boat. 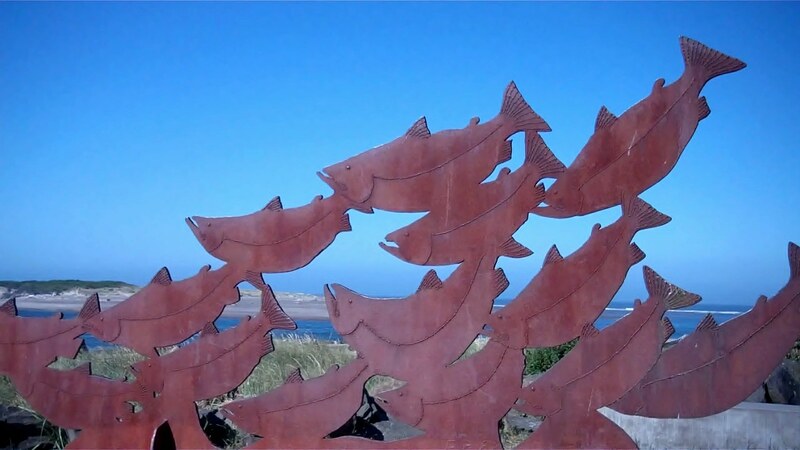 As the number of returning Chinook salmon increase launch the boat at Sawyer’s Landing and troll with the incoming tide in the deepwater channel between Poole and Parker Sloughs or between Flesher and Blind Sloughs with a plug cut herring or a rainbow colored Yaquina Slammer with a green tip. Launch at the Toledo boat ramp and troll a plug cut herring or Yaquina Slammer in the deepwater channel with the incoming tide through high slack tide from Blind Slough to the Toledo boat launch or troll a plug cut herring or Yaquina Slammer with the incoming tide upriver to the boat works on the north bank. Launch at Canyon Park Boat Launch and go downriver to Mill Creek. There is a deep hole at Mill Creek that holds salmon. Troll from Mill Creek upriver with the incoming tide using a plug cut herring, bait wrapped Flatfish lures with a silver body with a chartreuse head or spinners with green accents equipped with blades of the following colors: rainbow, 50–50 green and chartreuse, 50–50 green and hammered brass, or 50–50 chartreuse and hammered brass. 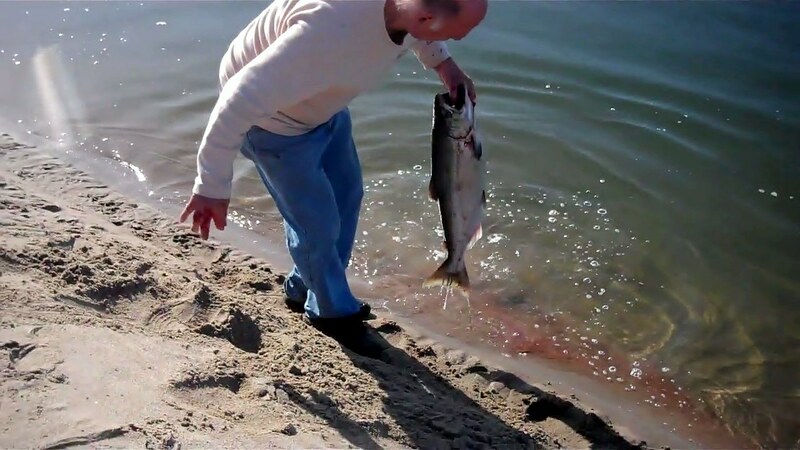 Remember Chinook salmon often bite before during and after low or high slack tide. Avid Chinook salmon fisherman, Collin T. Brooksby lives along the Yaquina River and fishes hard for Chinook salmon landing this beautiful 36 pound Chinook salmon upstream of Mill Creek using a Blue Fox spinner with silver and copper blades. Photo by Colin Brooksby. Fish the upriver reach of the Yaquina River from Mill Creek to Elk City back bouncing or back trolling with the outgoing tide with rainbow colored Yaquina Slammer spinners or bait wrapped Flatfish lures. 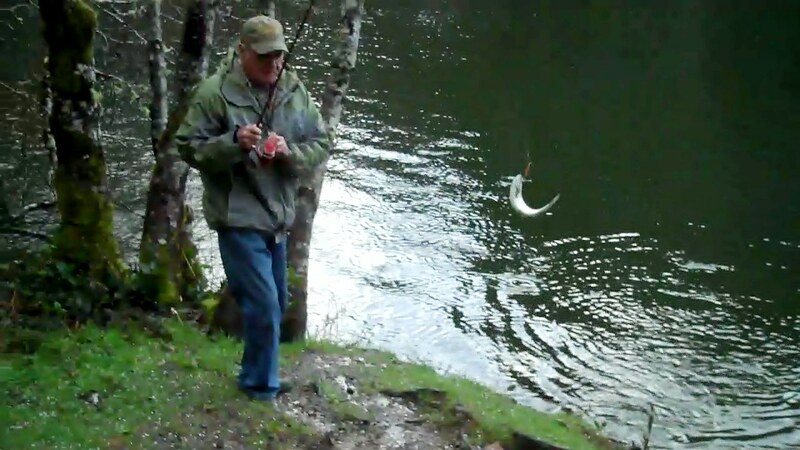 Back bouncing a walnut sized gob of salmon eggs and/or sand shrimp with the outgoing tide or drifting with a bobber and eggs are productive options, but be prepared to hang the tackle up on the numerous submerged objects upstream from Mill Creek. Trolling Yaquina Slammer spinners in the upper half of the water column or casting a No. 5 chartreuse Bolo spinner with silver and copper blades through low slack tide is productive. Anchor above the deeper holes upstream from Mill Creek and fish during the outgoing tide through low slack tide. Fish on the bottom with bait wrapped Flatfish lures, bait sweetened Spin–N–Glos, wobblers or a combination of salmon eggs and sand shrimp or with a bobber using salmon eggs topped with a sand shrimp. Accent the salmon eggs and sand shrimp with a small length of pink, red, chartreuse or orange yarn. Call Englund Marine at 541 265 9275 for an up to date fish report. Do not fail to take advantage of the feeder Chinook salmon that enter lower Yaquina Bay in June or July of most years. The most productive fishing occurs in front of the Coast Guard Station. Troll a plug cut herring between the Highway 101 Bridge and the west end of the seawall. Like feeder Chinook salmon some Coho salmon return to the Yaquina River as early as April, May, June or at the end of July through August. Increasing numbers of Coho peak in September into October before declining in November. The best fishing occurs early in the run trolling a plug cut herring, hoochies or spinner bait combinations behind a flasher and a wire spreader in the upper half of the water column with the incoming tide from the jetty jaws to the Coast Guard Station. Troll through out the bay and tidal reach of the river channel with a rainbow, chartreuse or pink colored spinners or spinner bait combinations. If you plan to do any boating in Yaquina Bay or any of Oregon's other bays take some fishing gear for fishing for Coho salmon and give fishing for feeder Coho salmon a shot. White sturgeon are year–round residents of Yaquina Bay. The catch rate ranks 3rd overall behind Umpqua and Tillamook Bays. Typically the best fishing occurs from December to June declining in July and is slow until the following December. Mud shrimp are the first choice as bait except when the herring are running. The best fishing for white sturgeon occurs from the pilings at the entrance of McCaffery Slough to Elk City. Most of the sturgeon fishery on the Yaquina River occurs during the outgoing tide through low tide as the sturgeon move into the holes and shallow troughs. Fishing also productive during the incoming tide as the sturgeon move onto the mud flats to feed. The mud flat associated with Blind Slough is one of these areas. Hooking a keeper sized or larger sturgeon in shallow water is a thrilling experience because they often become airborne. Bob and Bob hold up a keeper sized white sturgeon taken in upper Yaquina Bay. Photos’ by Randy Druba. Steelhead fishing in the Yaquina Basin receives approximately 20,000 smolts of an early-returning Alsea hatchery stock. The return usually peaks in December and January, depending on location and flow conditions. Good bank access is available along upper Big Elk Creek near the smolt release site (river-mile 21 below Grant Creek) and several miles downstream. There is no boat fishing on Big Elk Creek. Cutthroat trout return to the Yaquina River in as early the middle of July but always by the first of August. Fish for cutthroat trout during the incoming tide trolling Doc Shelton spinners rigged with a night crawler or casting spinners in the upper tidal reach upriver from the confluence with Mill Creek. Fishing from shore in the deeper holes of the tidewater reach of the Yaquina River above Elk City is productive casting spinners or by fishing on the bottom with night crawlers or crawfish tails. Bank fishing is fisherman friendly in the lower bay, upper bay and tidal reach of the Yaquina River. The fishing for bass at night can be fantastic on an incoming tide from the south jetty. The television show, “Fishing the West”, featured a show on night fishing for bass along the Yaquina Bay jetty. The City of Newport closes and locks the gate on the South Jetty Road at dusk each evening. You will have to park and walk to the location on the jetty you wish to fish from. Fish for lingcod or cabezon from either side of the north jetty. The best fishing on the channel side of the jetty is from the visible hump near to the end of the north jetty. It is a long and difficult walk to the hump. Anglers have to climb over and around the jetty rocks. Begin fishing on the ocean side of the jetty just past the area where the surf breaks against the jetty rocks. Fish for salmon from jetty rocks: on the ocean side of the south jetty, the channel side of south jetty, the jetty at the South Beach Marina, the rocks around the natural gas plant and from the OreAqua beach. Fish in the upper bay in the area of deep water located at buoy 25 at mile marker 5.9 on the Bay Road. Two other good locations are at the 8.5 mile mark on the Bay Road and at buoy 37 located at mile marker 8.8. Fish in the deeper holes located in the lower tidal reach of the Yaquina River from the confluence of the Yaquina River and Mill Creek upstream to the head to tidewater above Elk City along the Elk City road. Fish for perch from the rocks during the incoming tide: at the finger jetties along the south jetty road, the channel side of the south jetty, the jetty at the South Beach Marina, mile markers 4.0, 5.9, 8.5 and 8.8 on the Bay Road. Fish from the bank under the willows at mile marker 8.5 and in the deeper water next to buoy 37 at mile marker 8.8. Fish for white sturgeon in the upper bay two hours prior to low slack tide in the holes that are accessible from the Bay Road. One of the best locations is at buoy marker 25, which is located at mile marker 5.9. Three other good locations are at mile markers 8.5, 8.8 and 11.4. Fish from the bank under the willows at mile marker 8.5 and in the deeper water next to buoy 37 at mile marker 8.8. The hole located upstream from mile marker 11.4 mile runs along the bend in the river where the river narrows. Park at the turnout climb down the bank and walk 50 yards upstream at low tide and fish from there upstream. One of the most productive bank fishing locations in upper tidal reach is located at the confluence of Mill Creek and the Yaquina River. Park the truck just below the confluence and fish right out of the truck. Click on the ODFW Sport Groundfish Webpage to view the groundfish regulations. Click on the following links for additional information governing the taking of sport ground fish. Waypoint, Stonewall Bank Yelloweye RCA coordinates, Longleader Gear Information, Descending Device Information. Yaquina Bay boat launches at the Port of Newport on the south shore in the lower bay is a multi lane boat ramp at South Beach Marina. 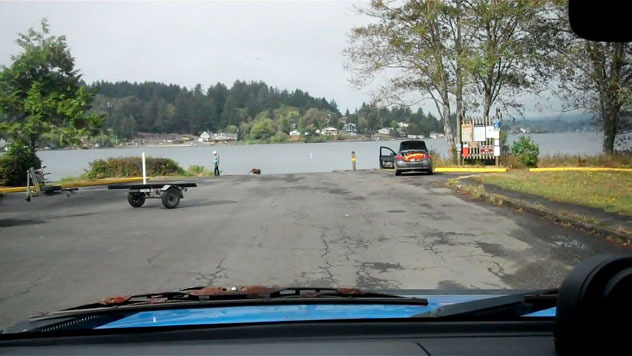 The six dollar launching fee to use a boat ramp is the most costly on the Oregon Coast. The North shore boat launch on the upper bay is the boat hoist at Sawyer’s Landing. There are free boat launching located in the upper bay southwest of the City of Toledo at the City of Toledo Airport on the South Bay Road, and in the lower tidal reach east of the City of Toledo at Cannon Park and Elk City County Park on the Elk City Road. Yaquina Bay Crabbing: the following video details the crabbing opportunities from the Crabbing Docks at Yaquina Bay. An interesting aspect about crabbing in Yaquina Bay that is also common to some of Oregon's other bays is that crabbing may be slow from the docks but productive in the deep water areas of the bay. The Disabled Dock at the end of the rod at the Northwest Natural Gas Plant has reached the end of its useful life in Yaquina Bay. Northwest Natural Gas is in the process of removing the now unsafe dock. Public access to the disabled dock has been restricted since 9/11 so the dock was not of much use to the disabled. The restricted access to the dock served as a symbol of success of the objectives of the terrorist. The question remains does Northwest Natural Gas or any other entity have the right to remove the dock without compensating the disabled recreational enthusiast? 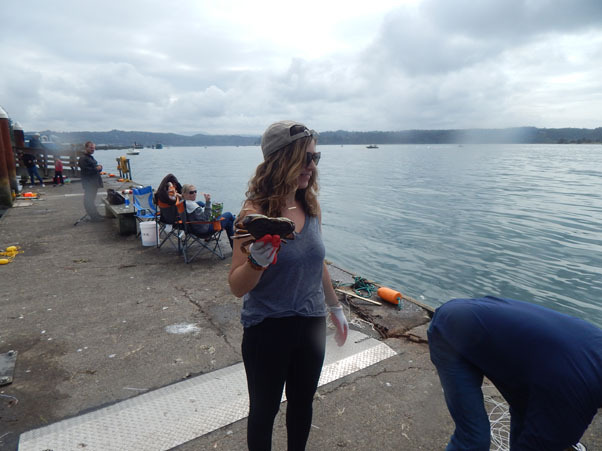 Crabbing for Dungeness Crabs in Yaquina Bay produced this fine catch for this young lady. How to humanely kill Dungeness and red rock crabs is the question my wife wants me to answer. She can't stand to see anything suffer. 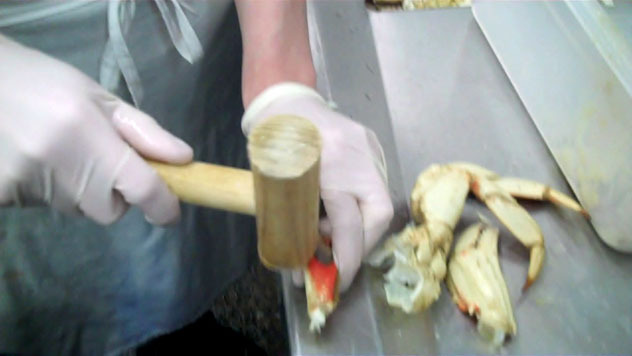 Striking the Thoracic ganglion with a crab mallet kills the crab immediately. The crab does not suffer as it would if submerged in boiling water and neither does my wife. Killing and backing the crabs prior to cooking them shortens the total time it takes to cook and clean large numbers of crabs. 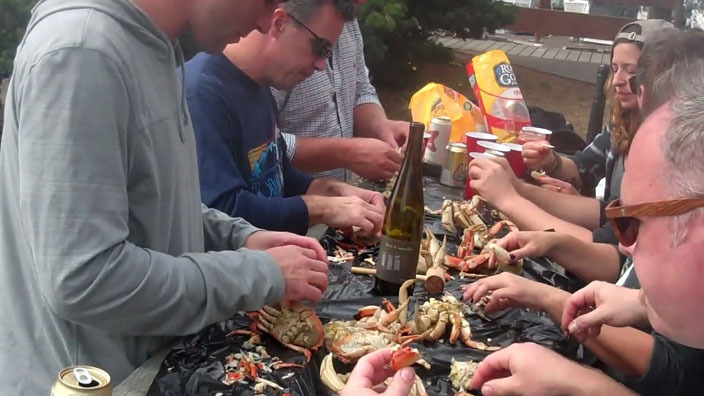 Click on the video clip to view a professional crab shaker picking a Dungeness crab. 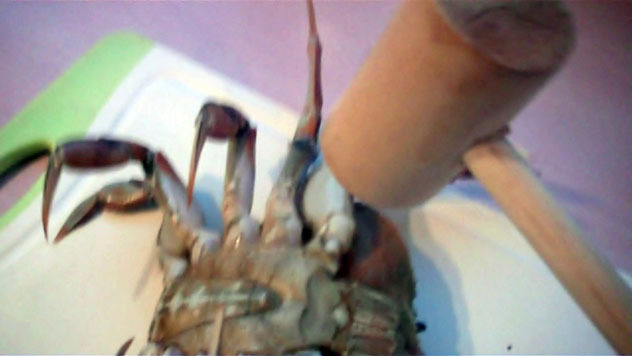 Using this method cuts the time to pick a crab in half. Clean crabs in seconds not minutes. Zach's method was developed at the Big Spruce R/V Park. Zach's method is fast and efficient and cuts the drudgery out of cleaning crabs. The Zach's method is showcased on our blog. The cabbing docks in Yaquina Bay gave up this fine catch of Dungeness crabs plus the huge red rock crab in the following photos. The crabbing in Yaquina Bay was great for my friend C.J. and I. We managed to bag 17 Dungeness crabs during the 3 hours we crabbed from the dock using chicken legs and thighs baited to 4 Crab Max crab traps. Click on the images to enlarge them. On 09/23 crabbing at the Embarcadero at their Newport Resort Facility With help from my son we set the three crab pots on the evening 09/22 and left them to soak them overnight to soak. 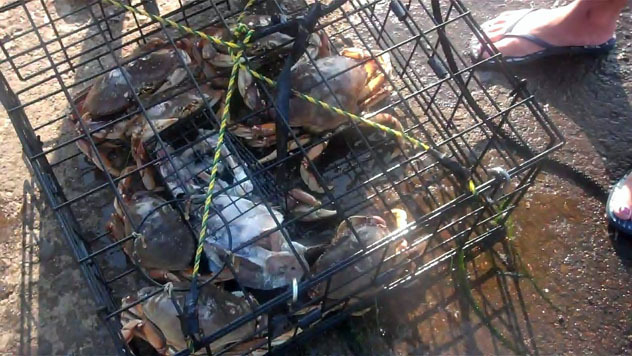 Previously we observed a crabber pull a box pot containing more than a 12 legal sized Dungeness crabs. The sight upped our level of enthusiasm so I purchased 3 of the box traps. We have set the pots 3 times and caught 2 legal sized Dungeness crabs; not quite the result we expected. Considering the loss crabbers experience leaving pots at public docks setting the pots out overnight is not worth all the effort expended. I invited my friends Jessica and Shawn to learn how to crab at the Embarcadero. We had a great morning crabbing and managed to take 7 Dungeness crabs and 4 red rock crabs. 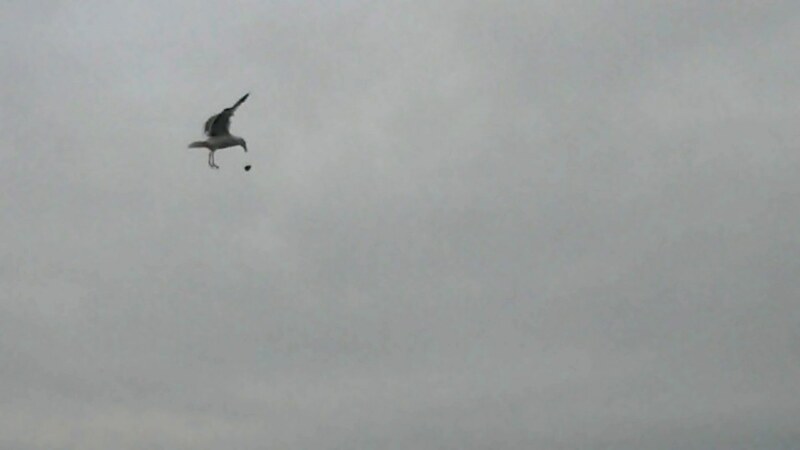 On 09/16 accompanied by my son Scott, we crabbed from the crabbing dock at the Embarcadero. 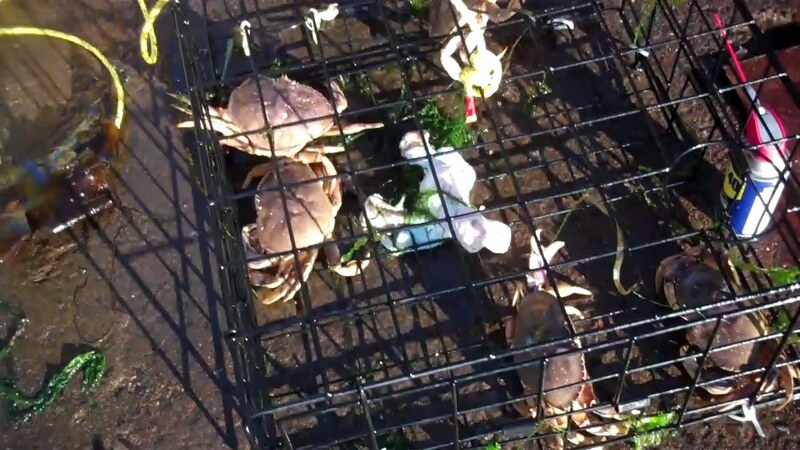 We managed to take 6 Dungeness crabs using 3 Crab Max Crab Traps. We set 3 crab pots to soak overnight. The Embarcadero's crabbing dock is closed from 11:00 pm to 7:30 am. We will pull our pots tomorrow morning. 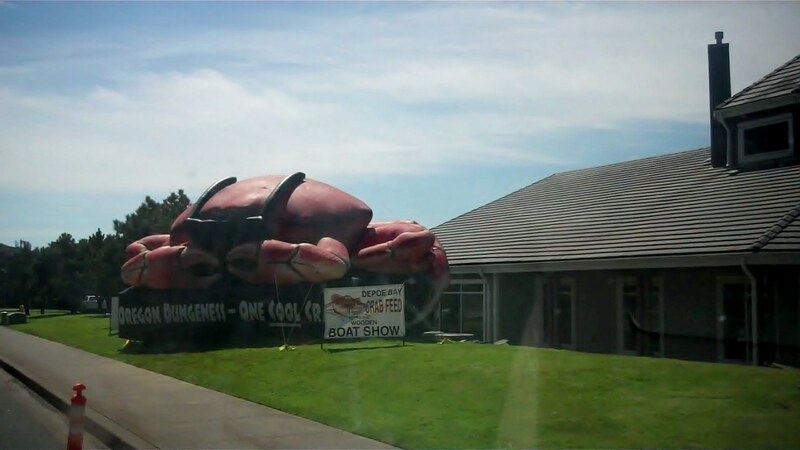 We had to wait in line to cook our crabs at the crab cooker. The cooker was busy cooking multiple limits of crabs from the boat crabbers from the Embarcadero Marina. 9/15 Randy from Harry's Bait and Tackle at 541 265 2407 reports crabbing for Dungeness crabs from the docks has improved to excellent. Click on the following links for additional information for taking crabs in the waters of the Pacific Northwest. ODFW's website crab page or Washington State information on recreational crabbing, California's information on recreational crabbing. 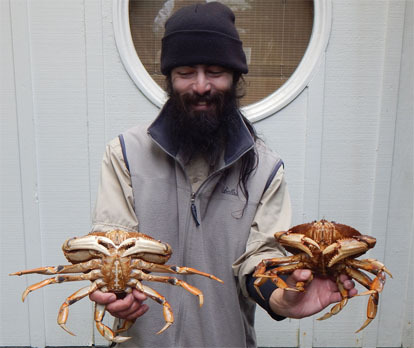 Click on Alaska's comments on Dungeness Crabs and permits and regulations for SE Alaska, or click on Dungeness Crabs at Netarts Bay. 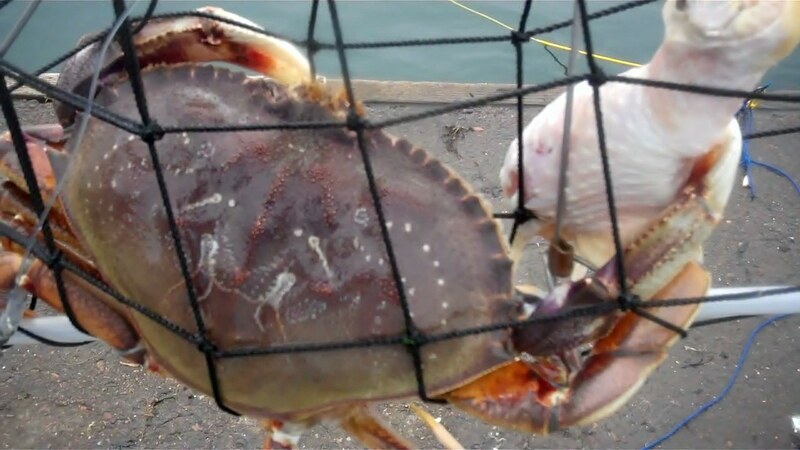 Click on Species Profile for Dungeness Crabs PDF file. Click on Species Profile for Red Rock Crabs to view PDF file. Click on Dungeness and Red Rock Crabs to view information on taking crabs from Oregon's Bays and ocean water. 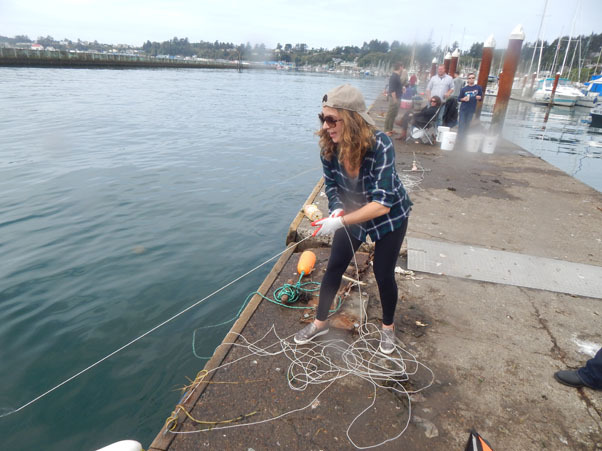 Clam Digging in Yaquina Bay: is based on ODFW Seacor studies. Digging for Bay Clams in Yaquina Bay requires the proper equipment, skill and a low enough tide to provide the time to accomplish your goals. Above my friend Greg Harlow displays the clams we dug from Yaquina Bay. Digging clams in Yaquina Bay with my friend Roger. We celebrated the 4th of July weekend with our own fireworks by digging bay clams shown the photos above and the video below from Yaquina Bay. How to dig gaper clams in mixed substrate. 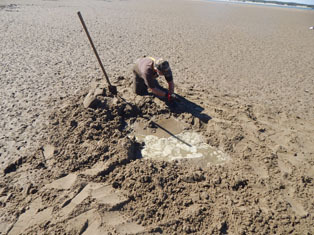 The video displays one the methods to dig gaper clams with a shovel; at least it is the method we recommend. South Beach access to the clam digging tidal flats at the Sea Wall as we prepare to launch our boat at the South Beach Marina in Yaquina Bay. 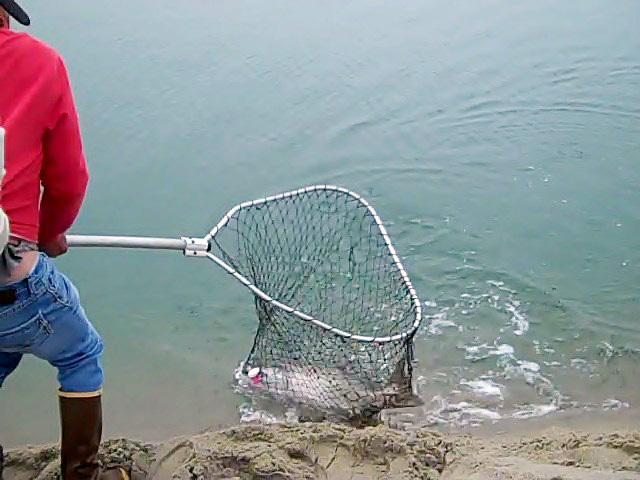 My friend Robert and his girlfriend crabbed for an hour behind the Landing and caught 4 nice rock hard keepers at Yaquina Bay prior to Digging 2 limits of gaper clams shown on the video. Click on the Seacor Shellfish Areas for Yaquina Bay to link to ODFW's maps of the shellfish. Tidal Projections for South Beach at Yaquina Bay to plan future crabbing and clam digging adventures. Tidal Projections to view the NOAA tidal projections for Oregon. Scroll down to Yaquina Bay and click on your area of interest. Local Weather - Click to view the weather forecast for Newport at Yaquina Bay. 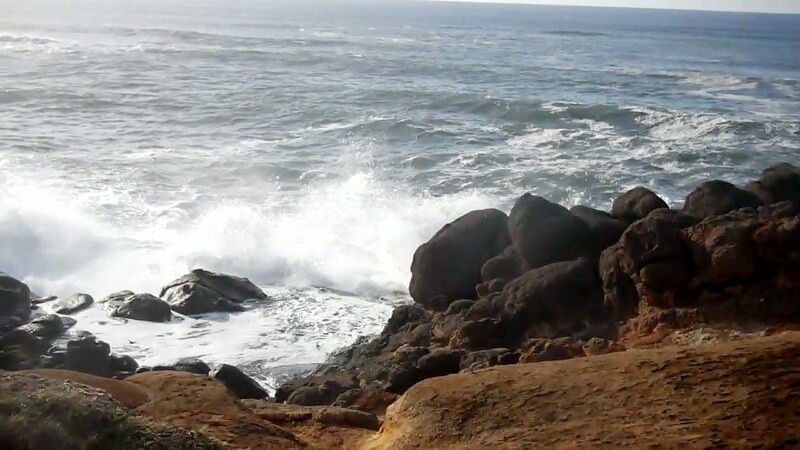 Click on the current weather conditions at the South Jetty of Yaquina Bay. Navigational Hazards - Click on the navigational hazards to avoid when crossing the Yaquina Bay bar. Click on Sunrise and Sunset to view at Newport. OSU Links of Interest Click on to view weather. 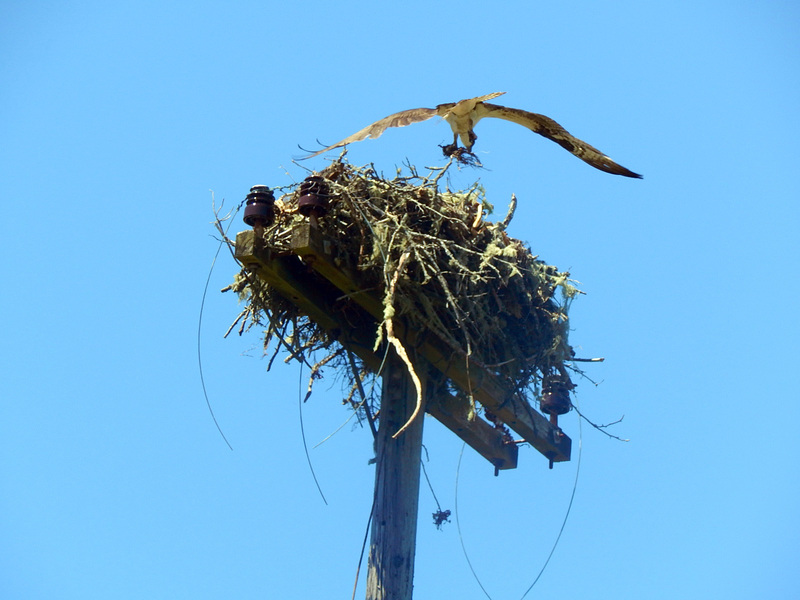 Osprey Nesting on an old electrical pole on the ancient marine terrace west of Hwy 101 located several blocks off of the Yaquina Bay. Waterfowl hunting within the Newport City and Toldeo City limits is closed in Yaquina Bay. The rest of rest of Yaquina Bay is open to hunting waterfowl. However, a number of the sloughs that provides excellent waterfowl hunting are now posted with No Trsspassing signs. 142.0 from the north exit Hwy 101 onto SW Abalone St or exit from the south onto SE Pacific Way to access the Hatfield Marine Science Center. The Hatfield Marine Science Center is the shinning star of inspiration for youngsters visiting the Oregon's Coast. Continue on SW Abalone St. which becomes SE OSU Drive. Exit the traffic circle to the right into the Hatfiel Marine Science Center parking lot or around the traffic cricle to exit onto the South Beach Marina boat launch parking lot. You won't regret taking the time to take your kids there. A trip to the Marine Science Center is cost effective for the entire family. A visit there is free. 142.0 The Clam Diggers Association of Oregon is a proud supporter of the Oregon Coast Aquarium. Add a visit to the aquarium to your agenda when you are in Newport digging clams from Yaquina Bay. Access to the Oregon Coast Aquarium is achieved from the north by crossing the Yaquina Bay Bridge pripr to turning right onto SW Abalone St where it becomes SE OSU Dr. Turn Right onto SE Ferry Slip Rd and the aquarium parking area. From the south turn right onto SE 32 nd St. to SE Ferry Slip Rd. Turn left into the aquarium parking area. If you missed the turn at SE 32 nd St turn right onto SE Pacific Way and right again onto OSU Dr. then right onto SE Ferry Slip Rd. and the aquarium parking area. 142.0 South Beach the actual beach is the location of the access road to the South Jetty and South Beach. South Beach is located accross the Hwy 101 Bridge over Yaquina Bay and extends southwards from the Sout Jetty of Yaquina Bay to Wandamere Beach. Access to South Beach is gained through South Beach State Park or by exiting either the south turnoff onto SW Abalone St. or the north turnoff from Highway 101 by turning onto SE Pacific Way. Follow the signs to the south jetty. There is ample parking for all vehicles near the end of the jetty road. Razor clams are common from beach accessed from the entrance to South Beach State Park to the South Jetty of Yaquina Bay. The South Jetty is a favorite location of fishermen trying their luck for rockfish and salmon. The anglers in the photo were trying their skill for both. Bay clams are dug from the large tidal flat that parallels the South Jetty Rd. The South Jetty has a horse loading area with short trail to beach for riding along shore . No horses are allowed inside park. 143.4 South Beach State Park is located ½ mile south of the Yaquina Bay Bridge and is a full service park. The best razor clam digging is the area just south of the jetty. South Beach is listed by ODFW as a location to dig for razor clams. The South Jetty has a horse loading area with short trail to beach for riding along shore . No horses are allowed inside South Beach State Park as shown below. 147.2 Lost Creek Ocean Wayside is located between Wandamere Beach and South Beach. The Wayside is a good location from which to access either beach. There is ample parking for all vehicles. Wandamere Beach is listed by ODFW as a location to dig for razor clams. 149.0 Beaver Creek enters the ocean at Ona Beach State Park. Ona is the Indian name for clam. The ecology of the Beaver Creek Estuary and its associated wetlands has evolved from being dominated by ranching and farming to one dominated by the natural occurring functional values associated with wetlands and estuaries. The local landowners are responsible for channelization of South Beaver Creek from S-Low Rd. to the confluence with Beaver Creek and the channelization of the Beaver Creek estuary from the confluence with South Beaver Creek to the State Park Wayside just east of Hwy. 101. Channelizing the creeks diminished the functional values of the meandering creeks to control level of the water in the creek beds. Without the meandering streambeds to hold the water the creeks continually flooded creating the wetlands common to both creeks today. The wild and scenic beauty of the Beaver Creek Estuary makes the Beaver Creek Estuary a very special place. Ona Beach State Park is a beautiful day use park and a wonderful place for a family outing. There are restrooms, picnic tables and ample parking for all vehicles. The fishing from Ona Beach is excellent for redtail surfperch in spring. Searun cutthroat trout and coho salmon return to Beaver Creek annually depending on the stream flows in August and September respectively. Beaver does not support Chinook salmon. 149.0 Boat Launch at Beaver Creek is located on the east side of Hwy 101. Turn east onto Beaver Creek Rd. and immediately right into the parking area of the boat launch. The boat launch a no use fee boat launch is operated by the Oregon Department of State Parks. The improved boat launch has toilets. The boat launch is a popular destination with kayakers and canoist. 149.0 Brian Booth State Natural Area at Beaver Creek. is located approximately 1 mile east of Hwy 101. The entrance is located on Beaver Creek Rd. just past the turnoff ot South Beaver Creek. 150.9 Seal Rock is located between the cities of Waldport and Newport. Parking at the Seal Rock Wayside is restricted to passenger vehicles. Parking is available for all vehicles at the turnouts south of the Seal Rock Wayside. Fishing is fair to excellent for all fish species associated with the rocky shore and tide pools. Fish for perch, sea trout, bass, cabezon and lingcod from the beach in front of the rocks or from the rocks as the tide recedes. Harvest mussels of off the rocks or dig for littleneck clams in the cobble and gravel substrate on the beach in front Seal Rock and for piddocks clams in the sandstone in the tidal zone located in the rocky shore. The sandy beach north of the Seal Rocks is renowned for excellent surf fishing. 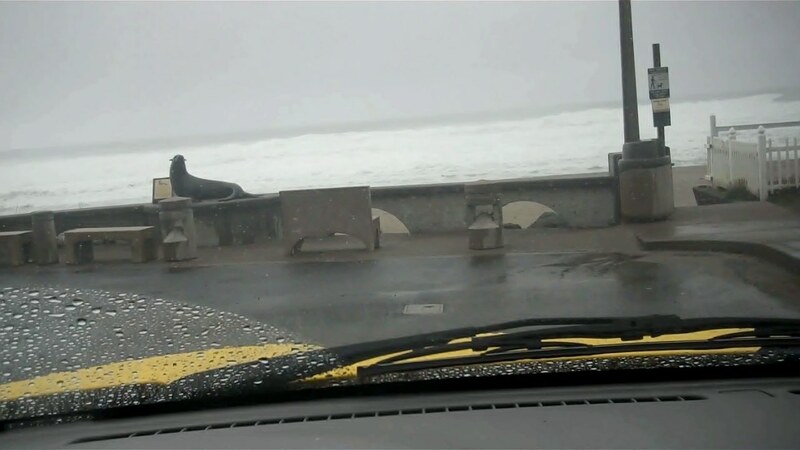 To surf fish drive north through Seal Rock. Turn west into a small parking area about ¼ of a mile north of the community of Seal Rock. Park and walk down to the beach. The best fishing occurs as pictured just after dawn north of the seal rocks. The once broad sandy beach has suffered from the effects of severe beach erosion. The erosion is the result of the strong and persistent southwest current caused from El Nino and La Nina weather patterns. The sandy beach has recovered and is once again home to a harvestable population of razor clams. The following photo of a young person harvesting mussels from the rocks at the turn of the Century. The photo clearly shows the environmental condition of the mussel bed. 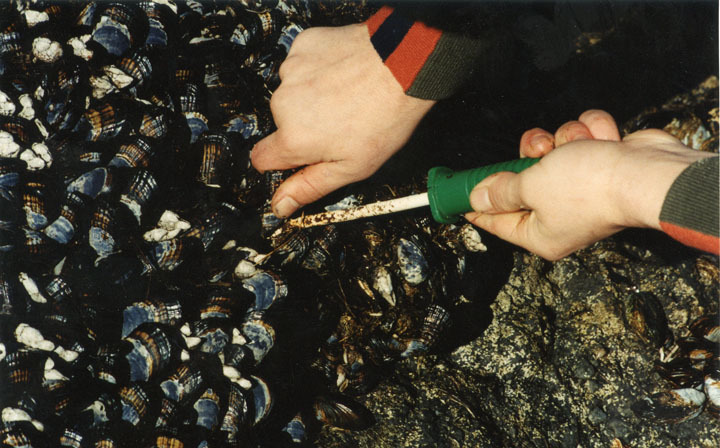 The photo was taken to demonstrate the method used to harvest mussels from a typical bed of mussels. Notice the absence of the marine growth that is seemingly out of control driven by environmental conditions. The abundance of the marine growth was not present at the time the photo was taken. My friends and I visited Head's Beach numerous times in the intervening period between the above photo and the video clip of my friend Dutch harvesting mussels and my friend Walter and I trip there to check out the rumors of razor clams on the beach and to harvest mussels from our favorite mussel bed. The CDAO does not recommend consuming mussels harvested from the mussel beds at Seal Rock until thee marine growth issue is resolved. This amazing sunset greeted our arrival at the mussel beds at Head's Beach to harvest the mussels for the high school project to determine the extent of micro plastic contamination of mussels alone the Oregon coast. Harvesting mussels from Head's Beach off of Quail Street just south of the community of Seal Rock. 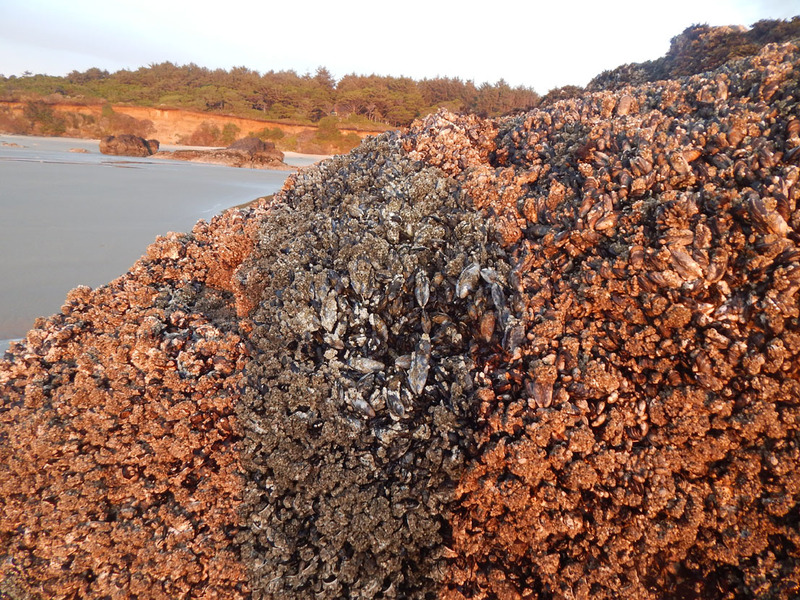 The rock is just packed with mussels and with all of the marine growth evident the mussels look more like a swarm of bees than a bed of mussels. The last time I harvested mussels there was hardly any marine growth. I picked a limit of 72 mussels at the request of the high school student who will study the mussels for micro plastic contamination in the mussels. From Hwy 101 turn west onto Sandpiper Dr. NW. Hidden Lake a 3.6 acre lake is located in the Sandpiper Village Section of Waldport off of NW Shore Dr. off of NW Sandpiper Dr. The lake contains largemouth bass and brown bull catfish. There are no launching facilities; so, it is car top boats only. There are three small unamed lakes located south and north of the entrance to Sandpiper Village. There are largemouth bass in the two lakes on the north side of the entrance to Sandpiper Village. The lake just south of Sandpiper contains wild cutthroat trout. 153.2 Driftwood Beach State Wayside is located between Waldport and Seal Rock and is an excellent location to fish for redtail surfperch and dig for razor clams. There are picnic tables, restrooms and ample parking for all for all vehicles. 154.8 North Shore Alsea Bay access for crabbing and digging bay clams from Bayshore on the North Shore. Turn west from Hwy 101 onto NW Bayshore Dr. Follow North Bayshore Dr. to the end on the north shore of Alsea Bay. Park and crab from the remnants of the old boat ramp. Follow the directions on the Seacor clam distribution map of Alsea Bay to dig bay clams from this area of the bay. 155.0 Alsea Bay North Wayside is located just north of the Alsea Bay Bridge. Turn west into access road from Highway 101. There is limited parking. Take the trail on the south side of the wayside to the north shore of the bay to dig for clams or fish from the bank for Chinook salmon and perch. Click HERE to return to mile by mile.